Can you ever really know your pets? Even though you name them, feed them, and spend time with them just about every day, there’s a lot your animals can’t reveal about themselves — at least not at first — because, well, they can’t exactly speak up and tell you. One landlady noticed a resident bring home a new pet, which was fine and dandy according to the building’s pet regulations. Soon enough, however, the critter revealed a side of itself that would definitely violate any lease agreement! Shortly before Christmas in 2018, a German man returned from a trip to the Czech Republic, and not without a souvenir. Rather than typical gift shop fare, he bought a new pet. Strangely, he was reluctant to show anyone until he got home. 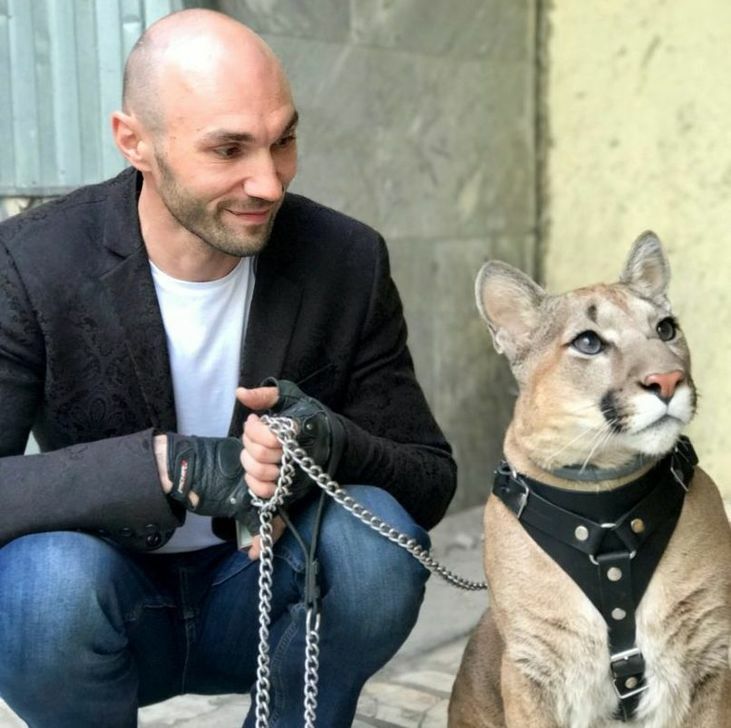 As soon as he set foot inside his apartment, the man opened the latch of the animal kennel and unleashed his new kitten, which he named Tikam! The cat eagerly hopped out and inspected his new home. Even though the man’s new pet never left the apartment, one other person inevitably noticed it: his landlady. She certainly thought the feline was cute, but couldn’t help but have a few doubts about the whole situation. The landlady figured he must’ve bought an exotic breed, seeing as the kitten’s coat bore unusual spots and stripes. Tikam also seemed to grow at a faster rate than normal, but even that wasn’t what concerned her the most. Above all else, he was aggressive. While she only caught glimpses of the kitten, she could hear him running around the apartment and knocking over furniture. 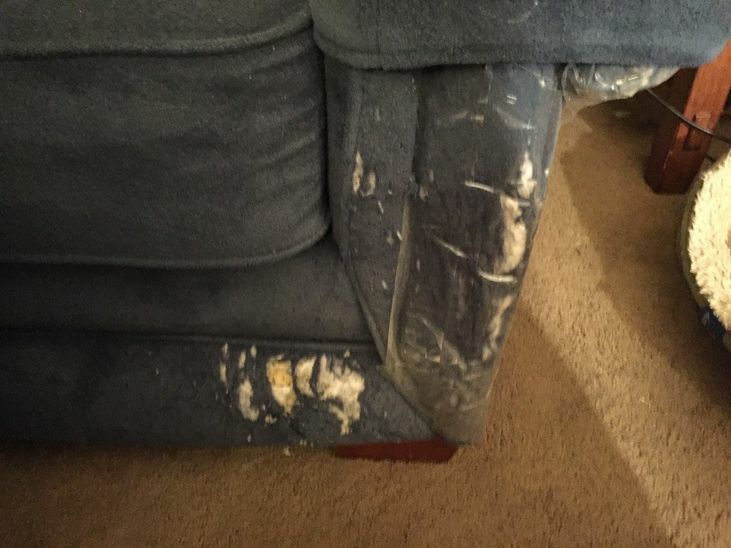 Deep claw marks also covered her tenant’s couch and curtains. As the weeks passed, the landlady felt Tikam acted more like a wild animal than a house cat. 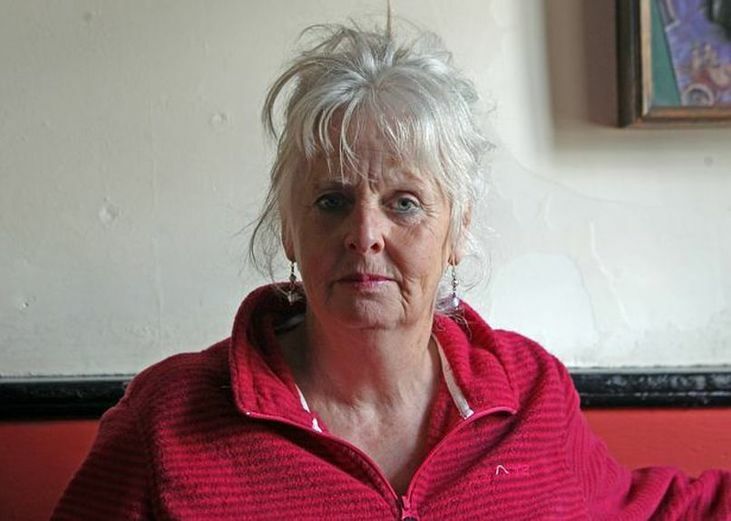 Had her tenant taken in a feral? 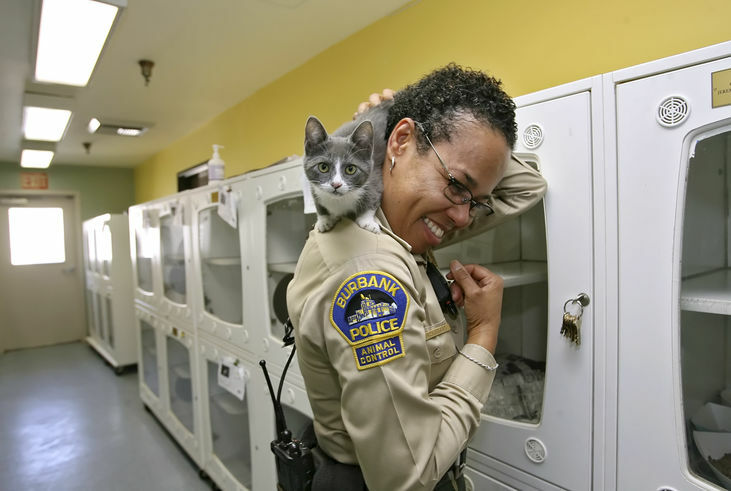 Afraid of more damage to her building, she called animal control. If anyone could handle an aggressive kitty, it was them. The authorities swooped in and seized Tikam, despite his owner’s protest. They brought him back to their offices for an examination and discovered something remarkable. Tikam wasn’t a feral cat, but another species entirely. 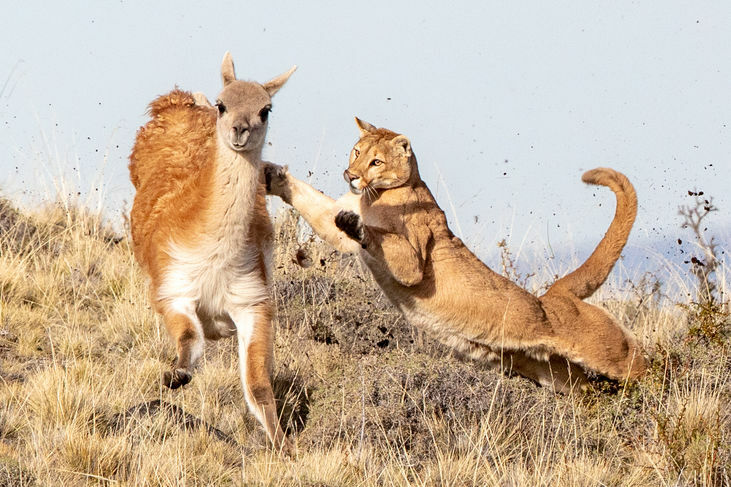 Though they could hardly believe it, Tikam turned out to be a puma! It was illegal for German citizens to own great cats like this, which explained why the owner tried to hide it. But as it turns out, he was somewhat fortunate that his landlady turned him in. 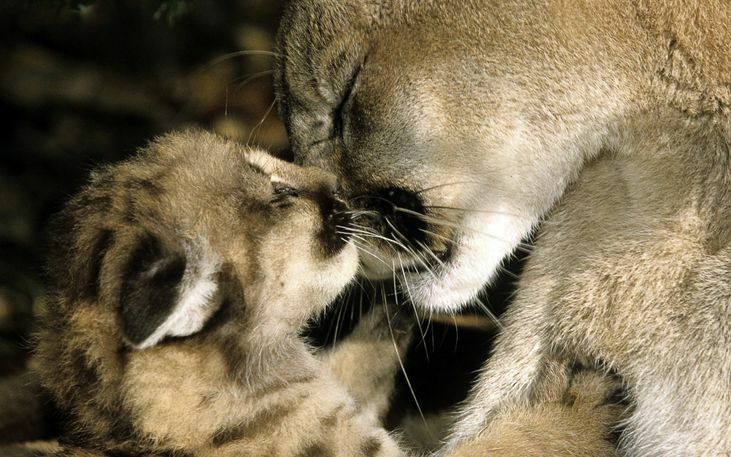 Though baby pumas resemble your normal kitten, they don’t stay that way for long. Adults can reach up to 220 pounds and are vicious hunters by instinct — not the sort of pet you want cooped up in your apartment! 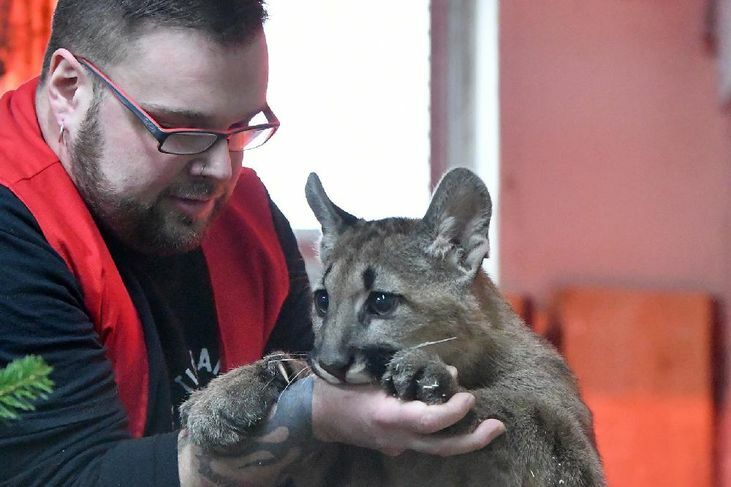 Of course, there still remained the question of how exactly a wild puma ended up in the hands of a German man on vacation. Four Paws, an animal welfare organization, got involved with the case and provided a likely explanation. Tragically, many newborn great cats all over the world are wrenched from their mothers’ side. Make no mistake, they are not headed to any kind of nature preserve or zoological center. Instead, their captors sell them for profit. 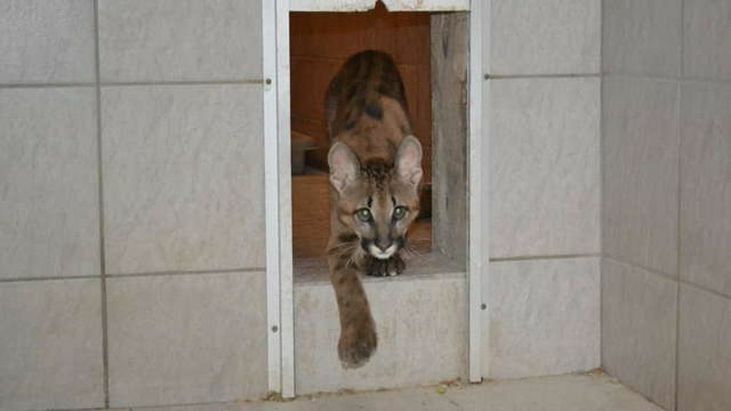 In Tikam’s case, he was legally purchased in the Czech Republic, where exotic pet laws are relatively loose. 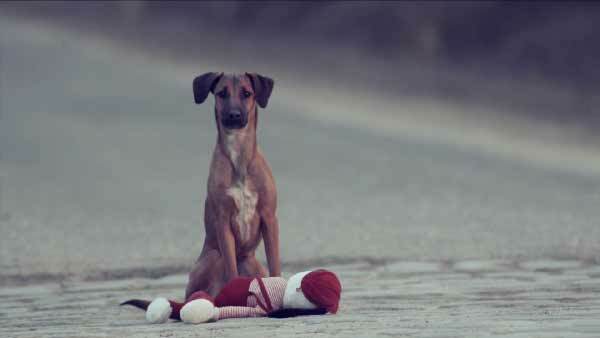 However, his new owner smuggled him into Germany, where he no longer could stay. 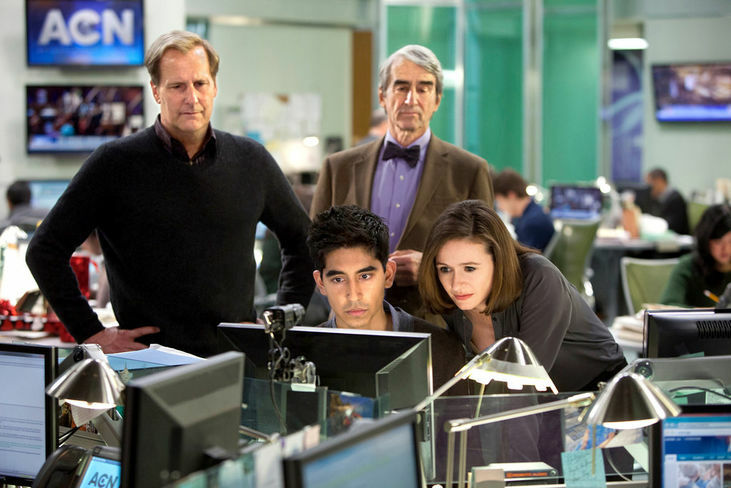 Where would Tikam go? 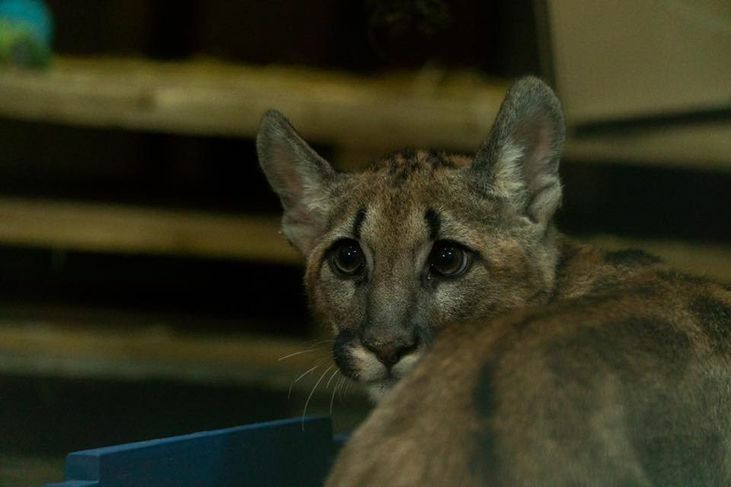 There was no way of tracking down the young puma’s original family, and animal control couldn’t just release him back into the wild. Tikam nervously waited, holding out hope that he would find a suitable home. Fortunately, the perfect candidate stepped forward. 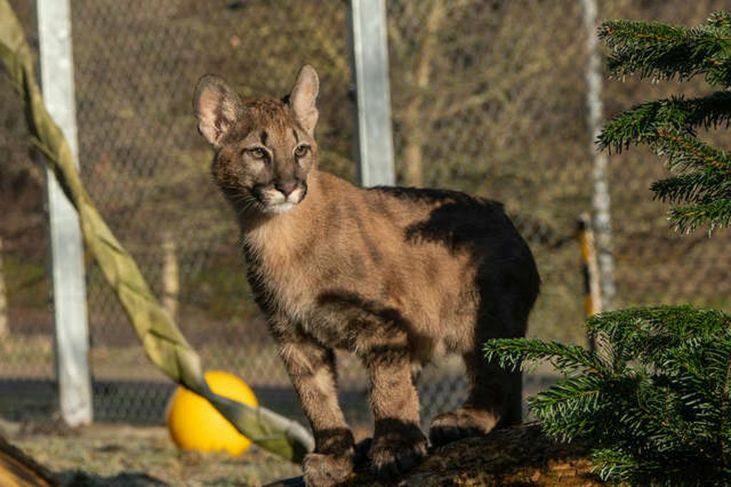 Tierart, an animal shelter in western Germany specializing in big cats, offered to take Tikam under ther wing. The puma set off on another trip, hopefully his last for a while. 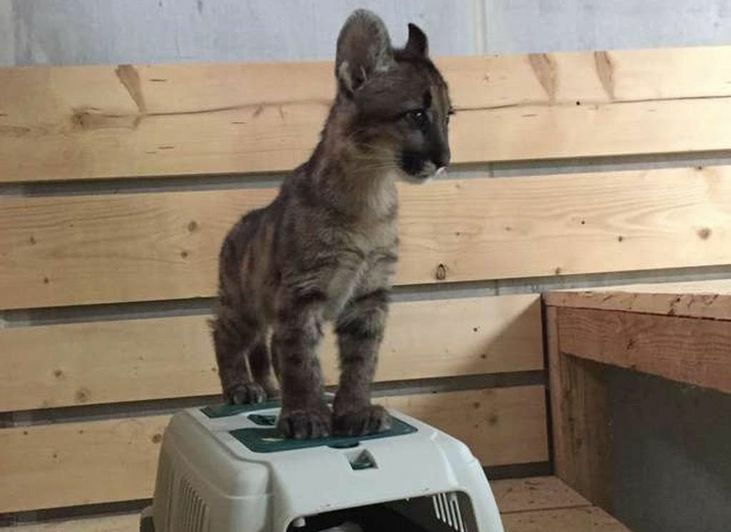 A far cry from his cramped apartment, Tierart made the perfect home for a fast-maturing puma. 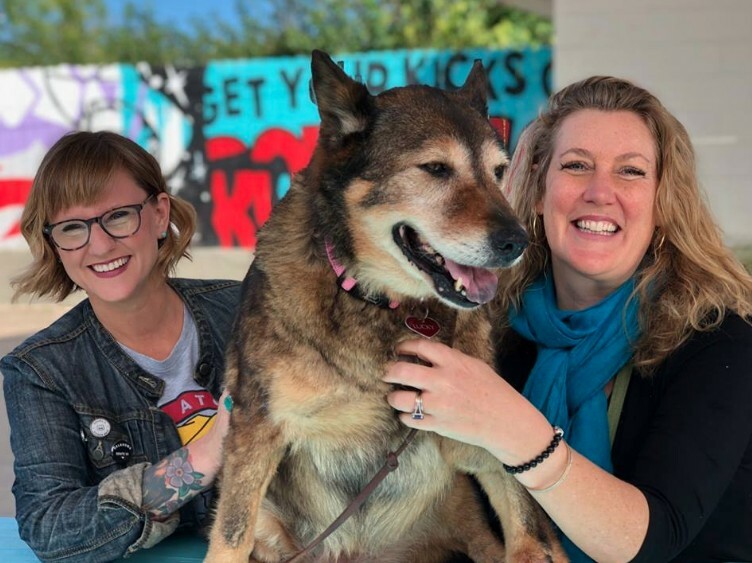 Tikam had plenty of space to run around and exercise, while the shelter’s professional staff could care for him and make sure he had the proper nutrition. 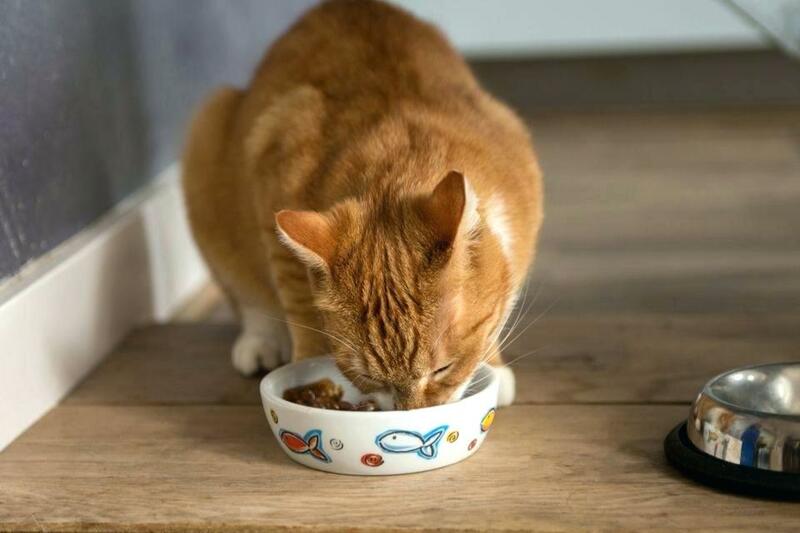 After all, you can’t expect Tikam to survive on Meow Mix and Fancy Feast when he’s evolved to subsist on fresh meat. That’s not something you can easily find in your local pet store. 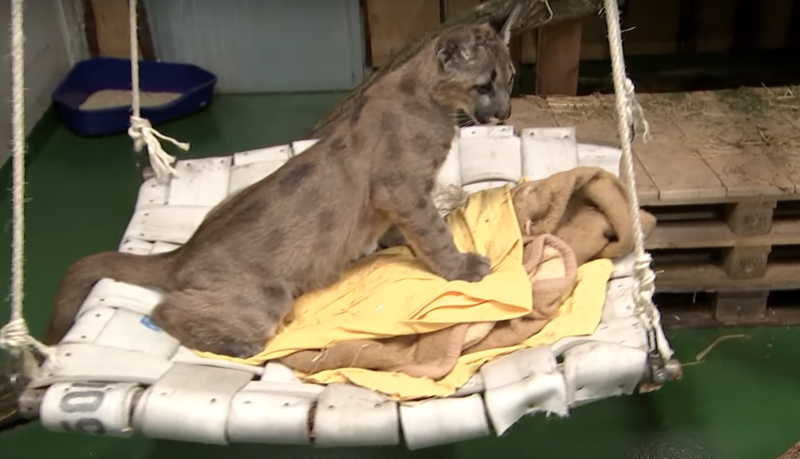 If all went according to plan, Tikam would grow up into a healthy and happy cougar — definitely an improvement over the world’s wildest house cat. Oddly, though, and perhaps sadly, stories like Tikam’s happen more than you’d think. Estonian construction workers Rando Kartsepp, Robin Sillamäe, and Erki Väli knew this all too well. 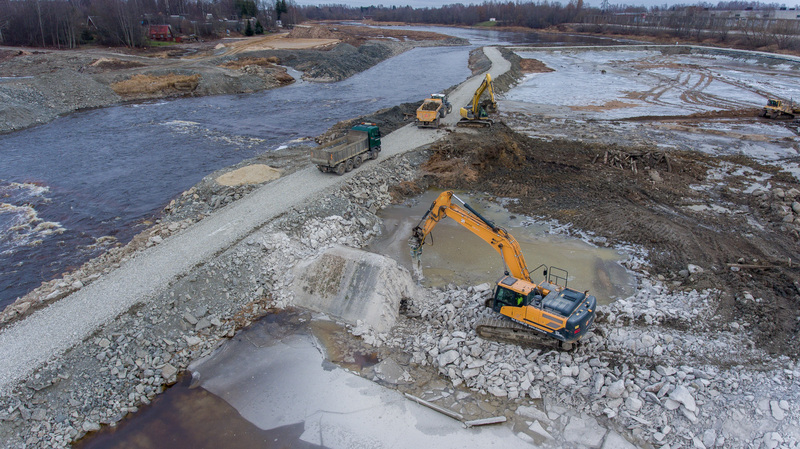 Their lesson started when, while repairing the Sindi dam in 2019, the three men were caught off guard by an unusual sound. 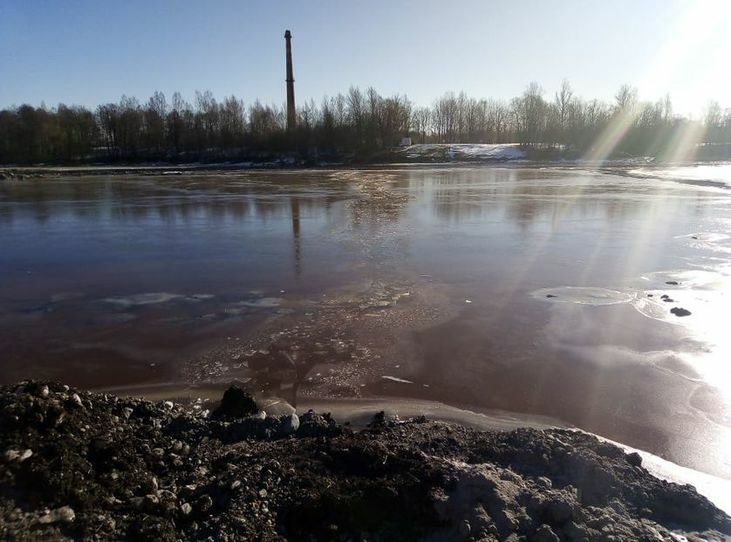 The workers approached the bank of the Pärnu river to investigate, and, about 100 yards out, they spotted an animal splashing frantically in the water. But as they watched, they soon realized the gravity of the situation. 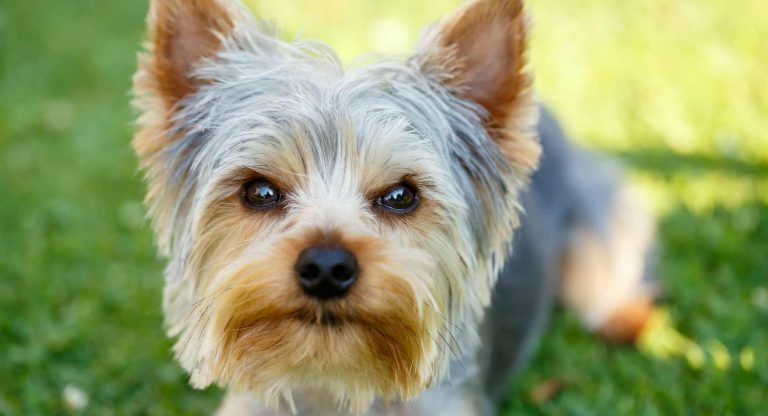 This wasn’t just any animal — it was a dog! 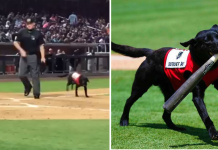 Right away, it was clear this canine was in danger. 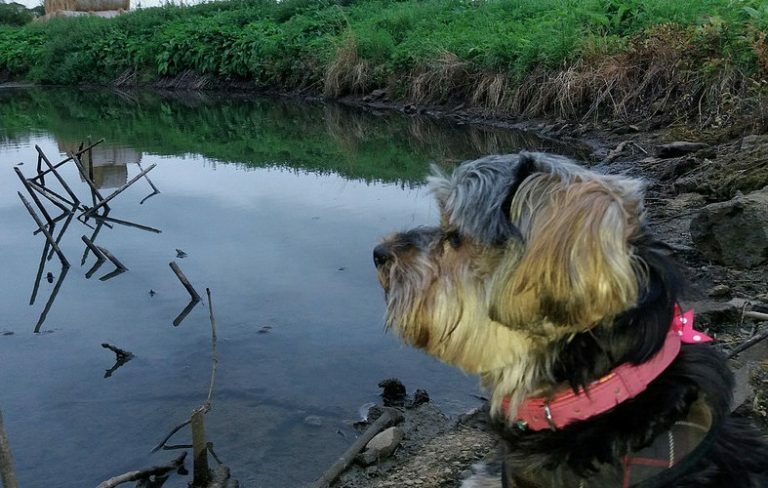 The icy river was surely chilling the poor pooch to the bone, and from the way it was struggling, they weren’t sure it would be able to tread water much longer. 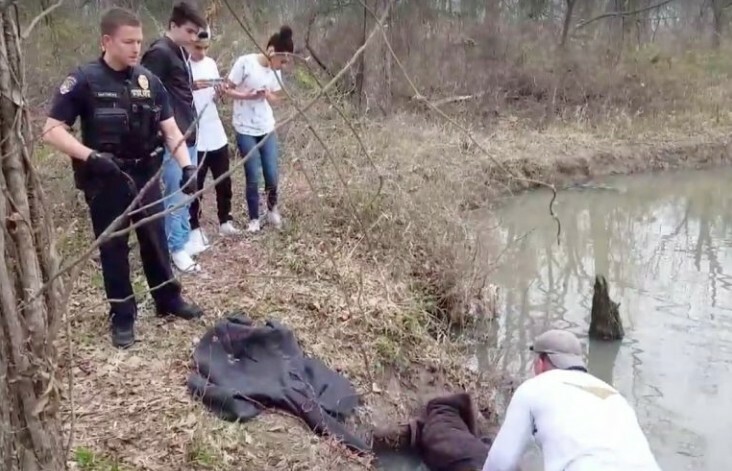 Without hesitation, the three men leapt into the river and hurriedly swam toward the struggling animal. 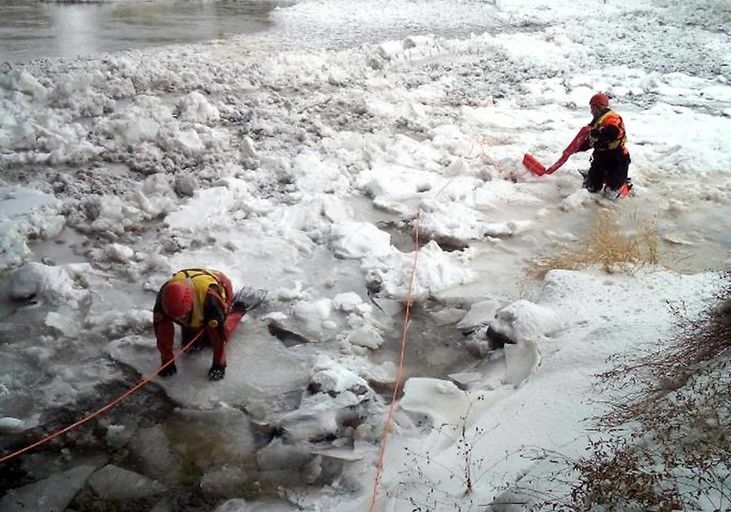 The ice was thick, but together they managed to carve a path and bring the dog to safety. The men quickly wrapped the shivering pup with a heavy blanket, and it was then that they were finally able to get a good look at the dog. It was large, with thick fur and piercing yellow eyes. A one-of-a-kind look for a common house pup. Knowing the animal needed help, the workers didn’t have much time to admire her coat. 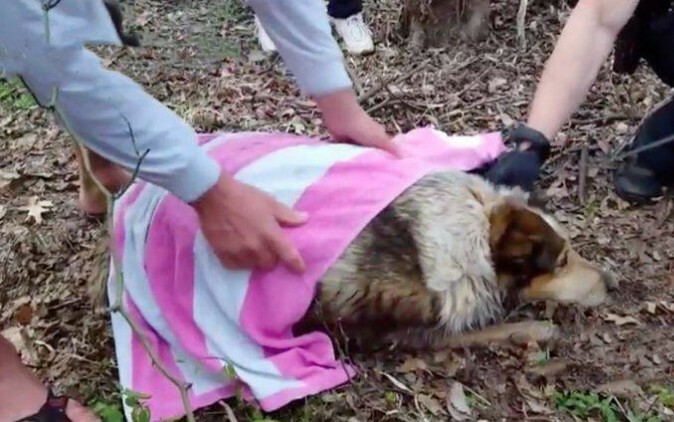 The blanket was doing little to warm her up, and only proper medical care — not even a big fat fire — could save her from hypothermia. 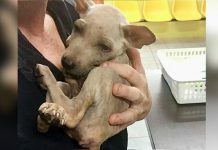 So, taking the animal in their arms, the men carried their newfound friend to their pickup truck and laid the shivering dog inside. Then they phoned their local animal hospital, who told them to bring her in right away. 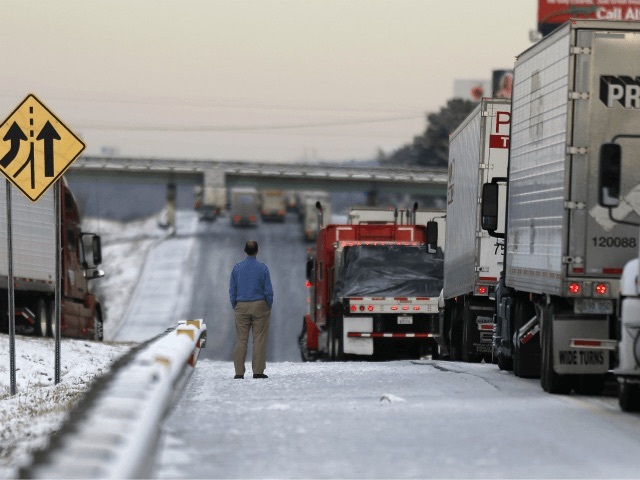 The truck sped to the hospital, and all the while, the animal never stirred. In fact, it slept almost the entire way, its head laid upon Kartsepp’s lap; even in its poor state, it sure was a cuddler! 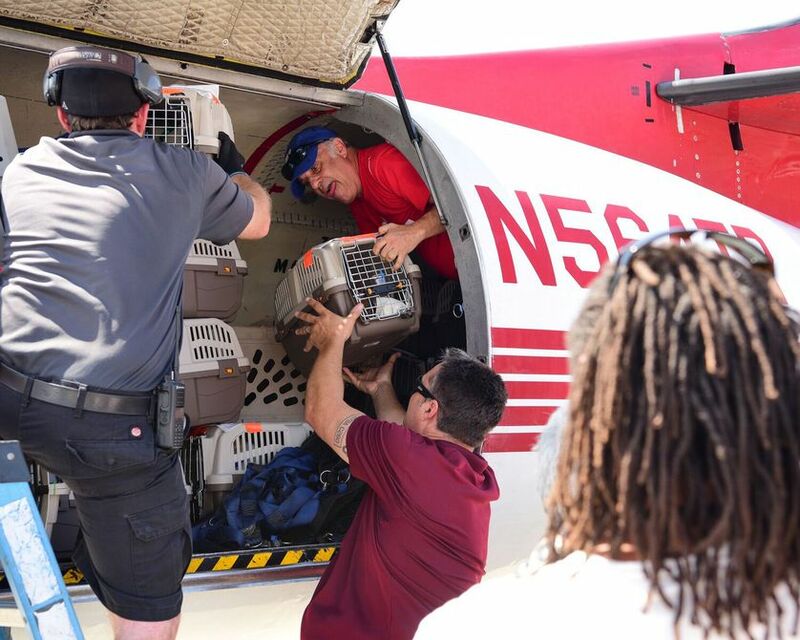 No sooner did they arrive at the hospital than the veterinarians were on the scene, carrying the dog inside and immediately working to nurse it back to health. But there was only one problem. This wasn’t actually a dog. In fact, veterinarians couldn’t identify what it was. With everyone stumped, the doctors phoned in a local hunter to see if he could shed some light on their situation. Sure enough, the man knew exactly what they were dealing with. 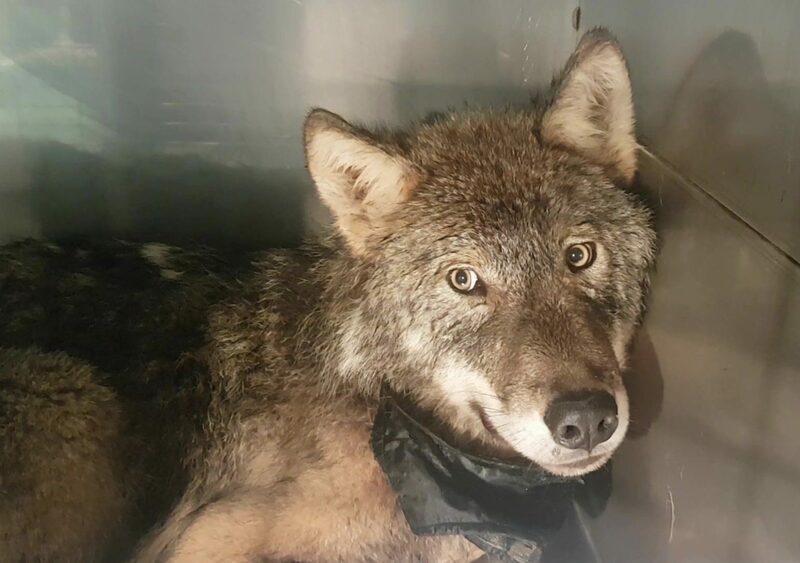 This wasn’t a dog — it was a wolf! The construction workers were in shock. 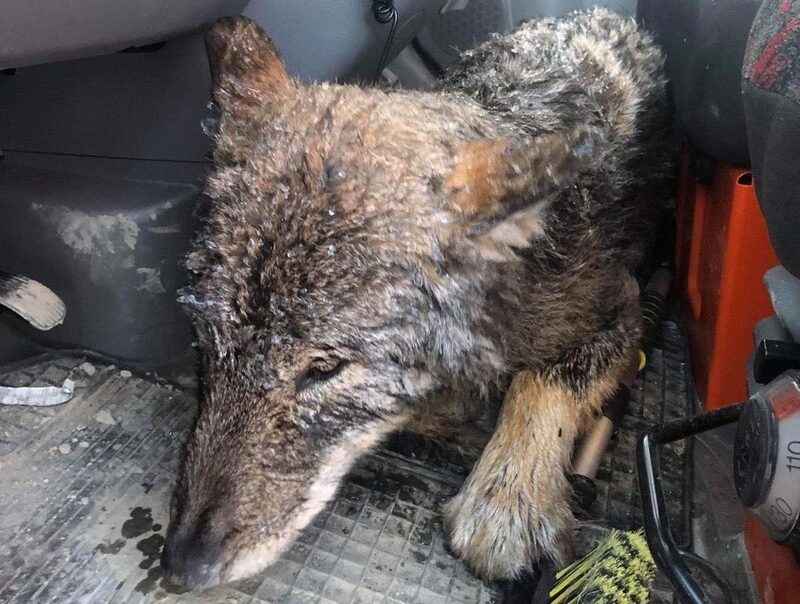 Not only had they completely misidentified the animal, but they’d actually kept a live wolf in their vehicle without so much as a leash! If it had wanted to, the wolf could’ve easily made a snack of them. 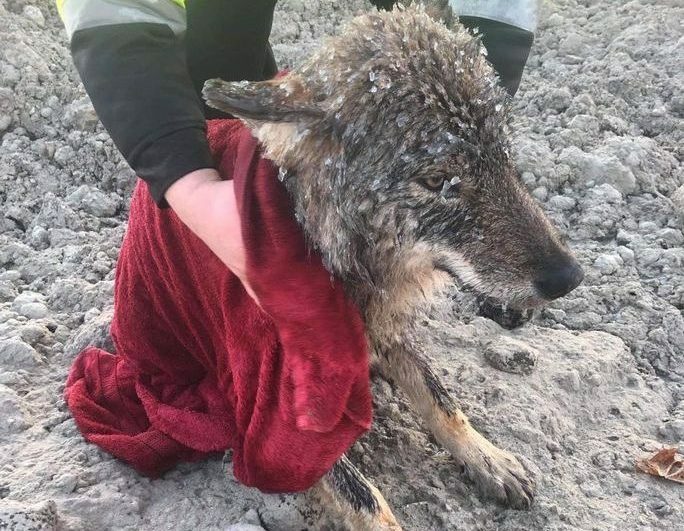 Thankfully, the icy water had served to sedate the wolf, which explained why it was so docile when the men had rescued it and placed in it their truck. This state of calm wouldn’t last, however — it was, after all, a wild animal. 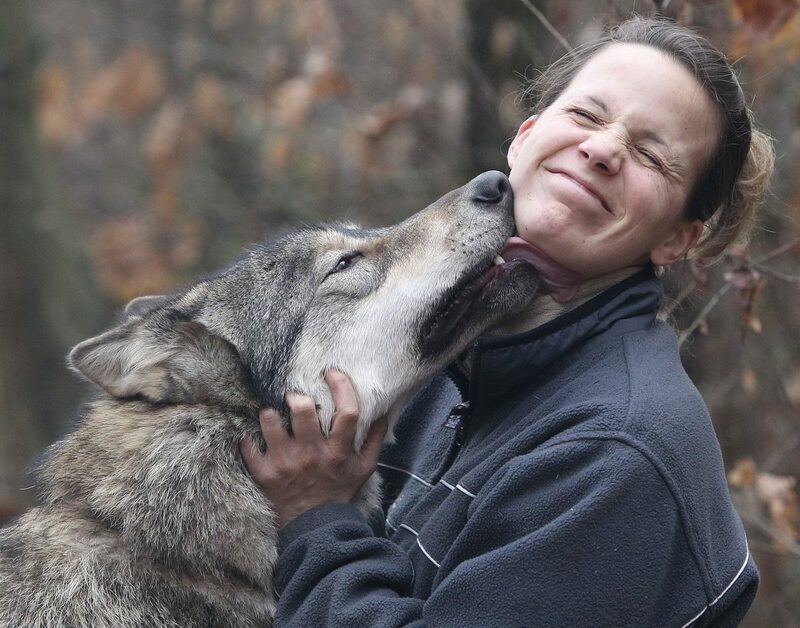 And turn they did, for as the animal recovered, it began acting as one would expect a one-year-old wolf to behave in a small, enclosed space. 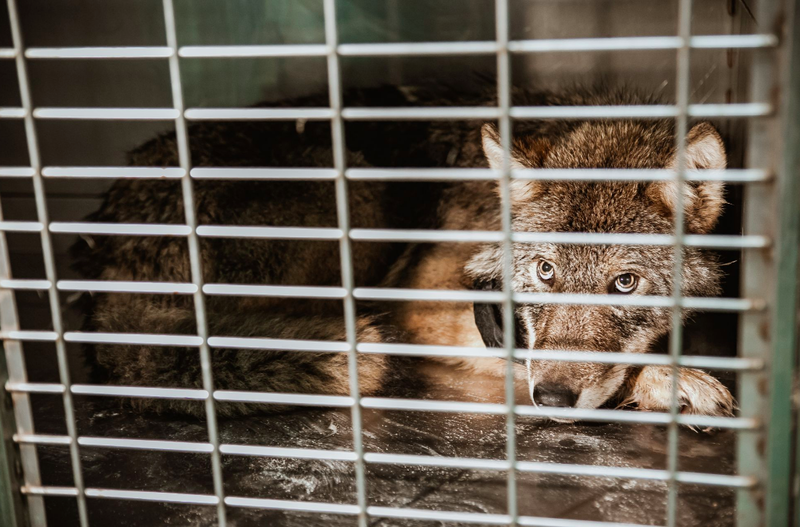 So, for its own safety – and for the safety of the doctors – the wolf was placed in a cage. 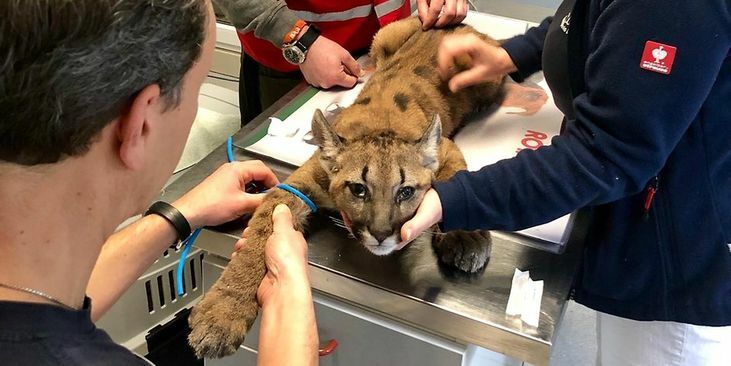 By day’s end, the animal had made a full recovery, and the clinic was confident she could be reintroduced to the wild without any repercussions. 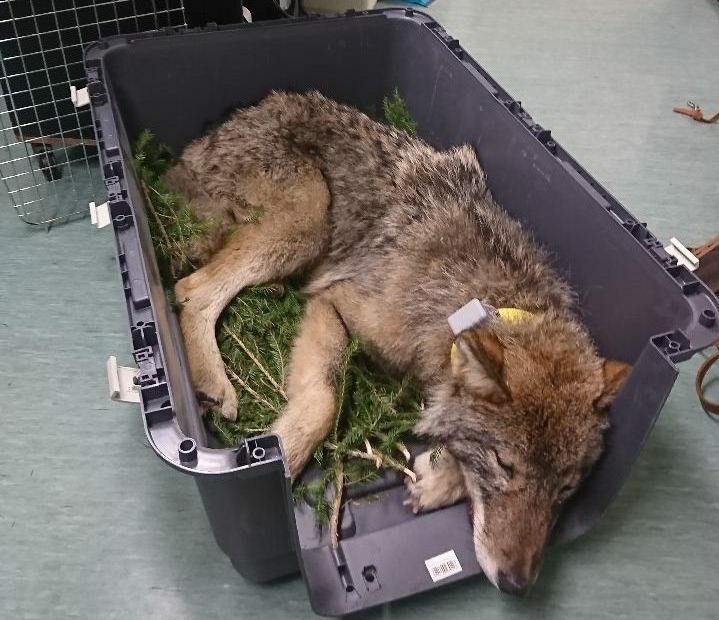 But even so, Estonia’s national environmental agency decided to fit the wolf with a GPS collar just to be safe. When it came time to release the wolf, it took off in a flash, disappearing back into the wilderness. Kartsepp and the others waved goodbye as it went, a bittersweet end to one unforgettable day of work. 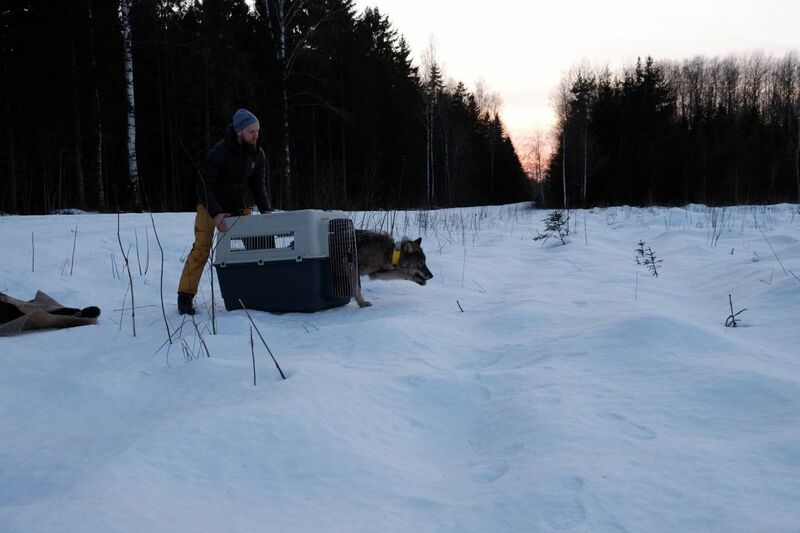 “We are so happy for the outcome of the story, and wish to thank all the participants — especially these men who rescued the wolf and the doctors of the clinic who were not afraid to treat and nurture the wild animal,” said the Estonian Union for the Protection of Animals of the incident. 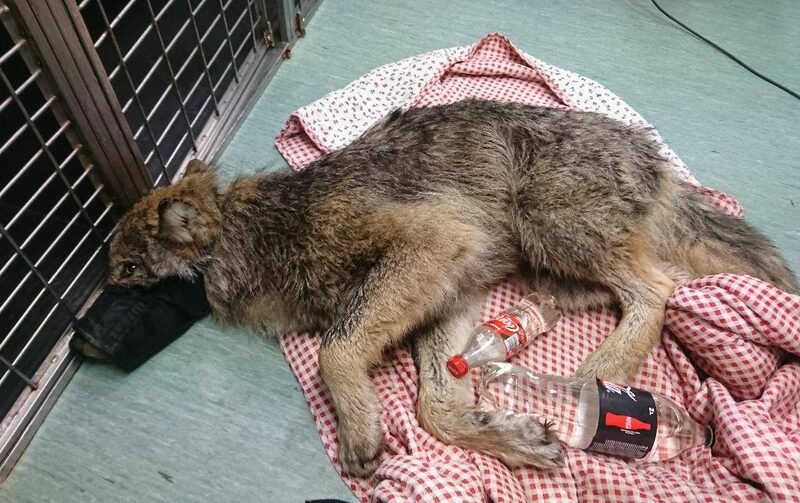 Still, it wouldn’t be surprising to see something like this happen again in Estonia, as the country is home to a large portion of Europe’s wolf population. 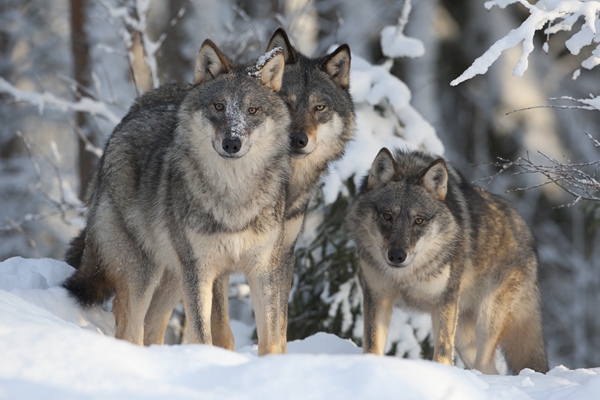 In fact, the wolf was named Estonia’s national animal only a few months prior to this incident. 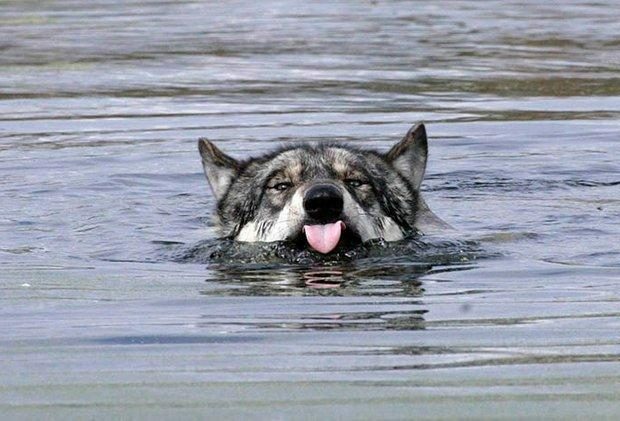 Incredibly, this particular wolf was actually spotted in the wild just a month after its run-in with the construction workers. Considering it was photographed over 70 miles from where it had been released, it looks like this lucky guy was doing just fine. 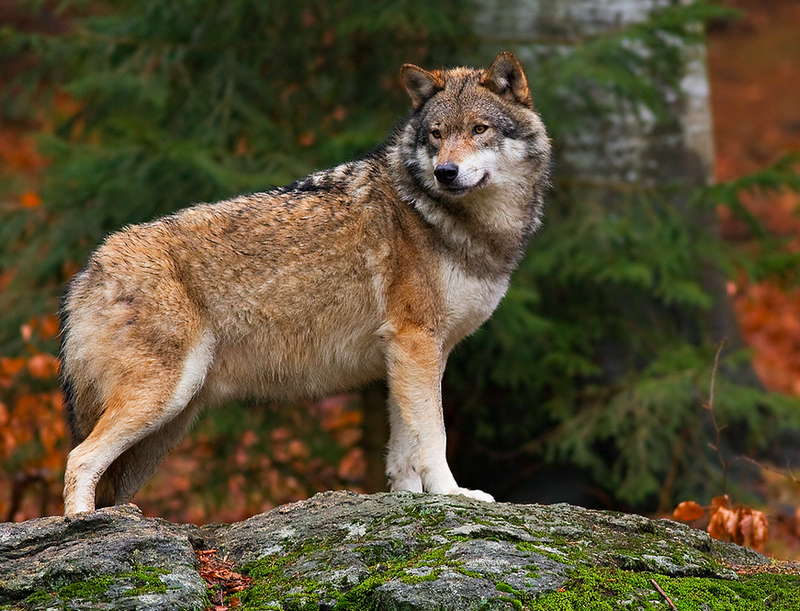 Though some would think it impossible to confuse a wolf with a dog, people seem to misidentify animals all the time. And for those that are none the wiser, they might accidentally wind up bringing these doppelgangers home as pets! 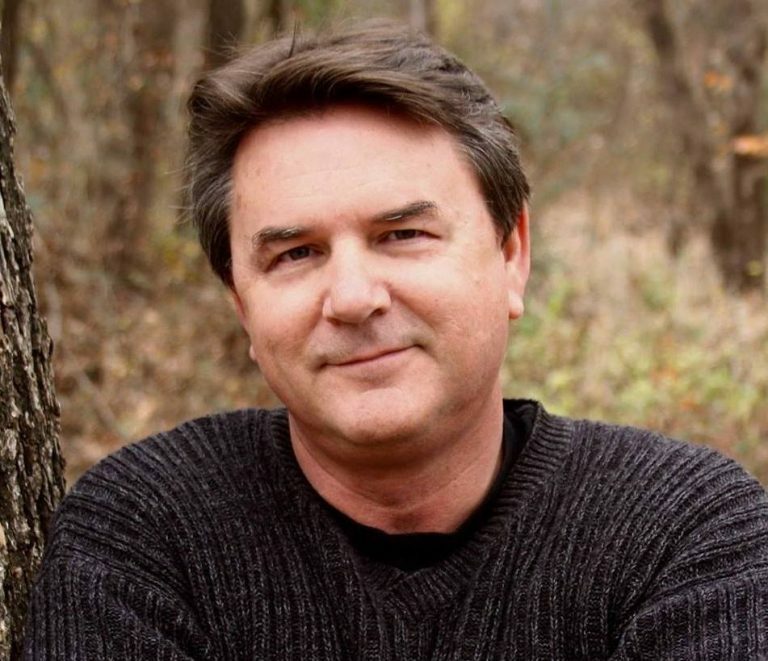 For instance, one morning while he was dropping his kids off at school, Jostein Hansen noticed a tiny animal scurrying across a snow-covered road. Curious, the dad pulled over. The dad, of course, knew that small animals and well-traveled highways didn’t mix all too well, so, with impressive dexterity and speed, he danced through traffic and snagged it before the worst happened. 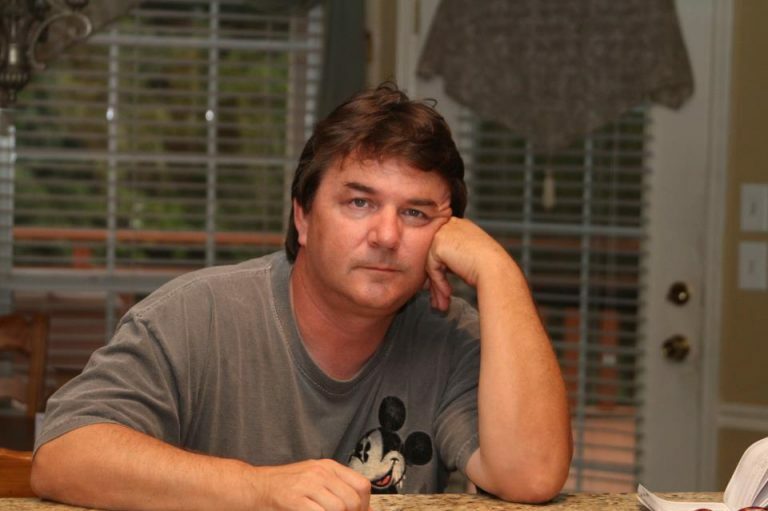 With the hamster in his hands, and thinking still of how sad his own daughter would be were her hamster to go missing, the dad resolved to find the owner. 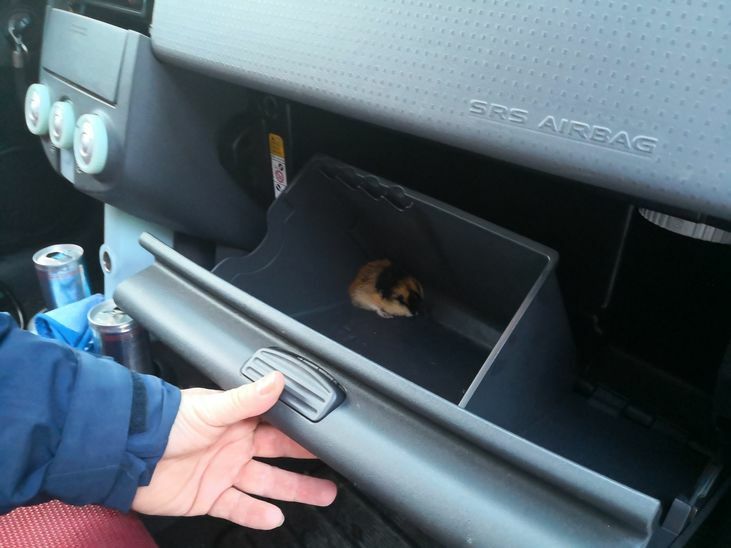 In the meanwhile, he stashed the hamster in his glove box. 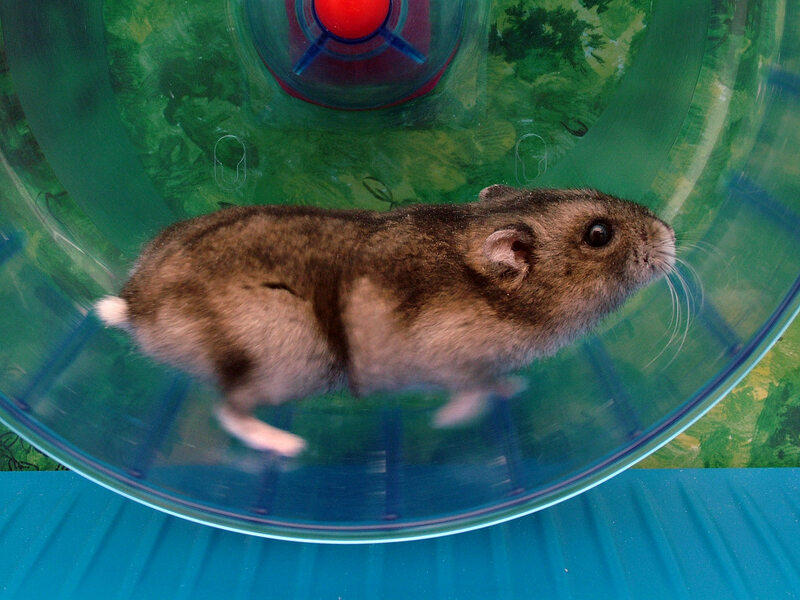 As a man with limited resources, Jostein knew he needed a little extra help to see the hamster to her proper home. 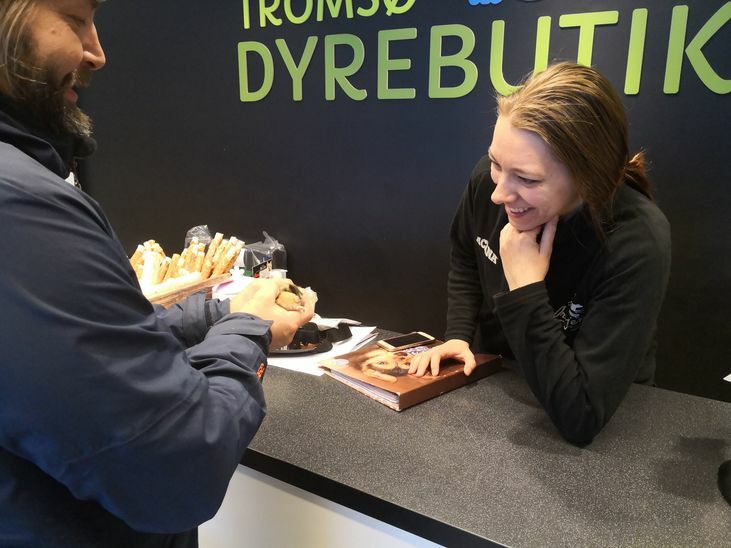 So he reached out to a Norwegian newspaper, iTromso. 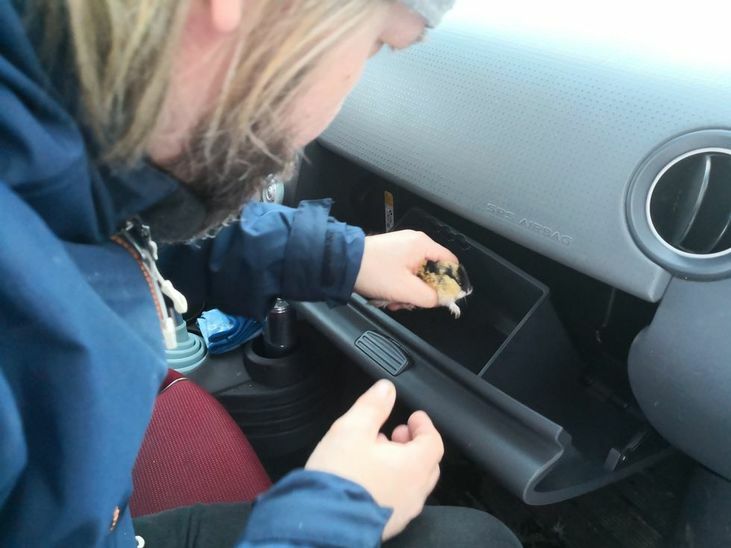 Assignment editors passed the story on to Sanna Drogset Børstad, who couldn’t help but frown when she learned she’d be spending her next few hours looking for a hamster’s owner. After all, Pulitzer Prizes, she knew, didn’t usually go to those investigating lost Norwegian rodents. 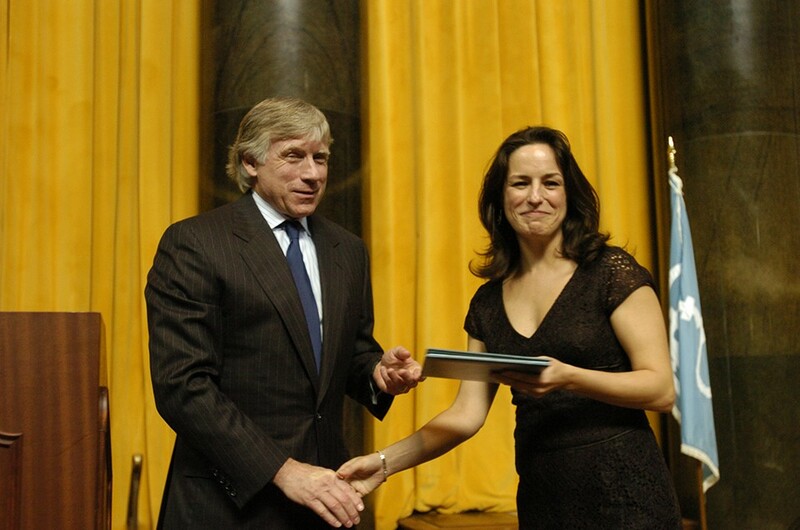 Nevertheless, she met up Jostein Hansen and his rescued hamster. 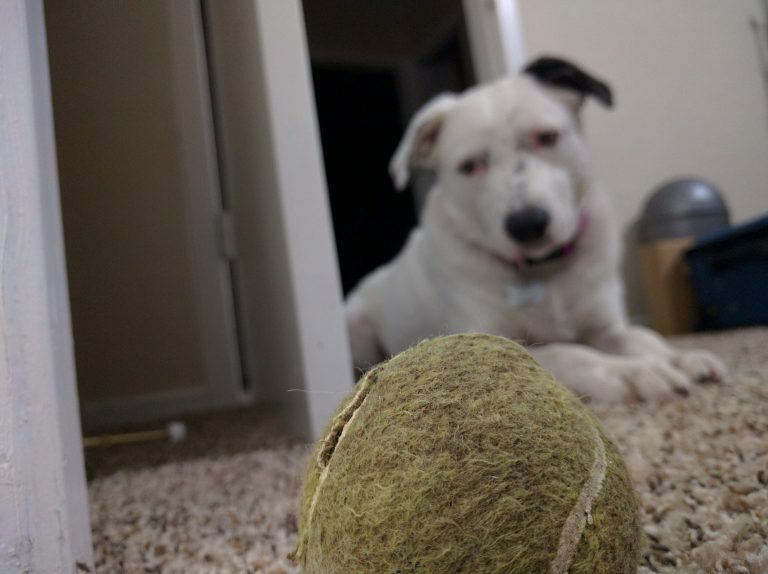 She had no idea what this story would become. Hamster in tow, the two traveled to a pet store affiliated with Animal Protection Norway, an organization dedicated to animal dignity and welfare. If anyone could find the original home of this lost hamster, it was one of the 9,000 people working for the organization. 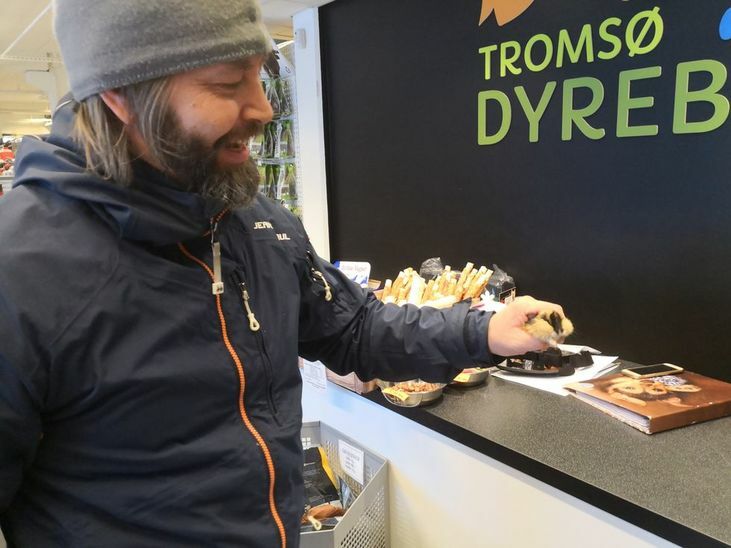 And indeed, the pet store employee did help Jostein and Sanna — in a way! The pet store employee looked over the hamster. Turning the critter over in her hands, she processed the brown, black, and blonde fur. And then she told the duo it wasn’t actually a hamster. 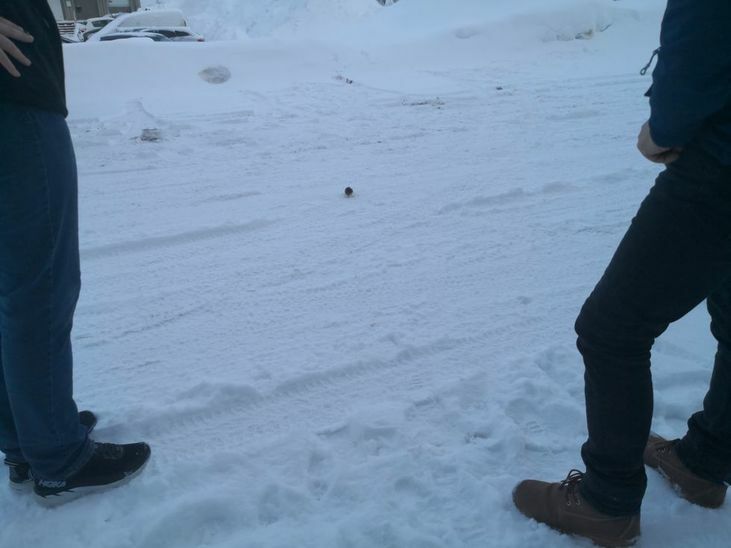 What Jostein had chased down in the middle of a snowy Norwegian road wasn’t actually a pet, either. In a way, actually, Jostein had conducted a kidnapping. A rodent-napping, if you will. The creature was playing Frogger in the middle of the road. That’s so very lemming, right? The creatures, after all, have a reputation for chasing each other off cliffs. So Jostein kind of did it a favor, saving it from its nature. Nope! 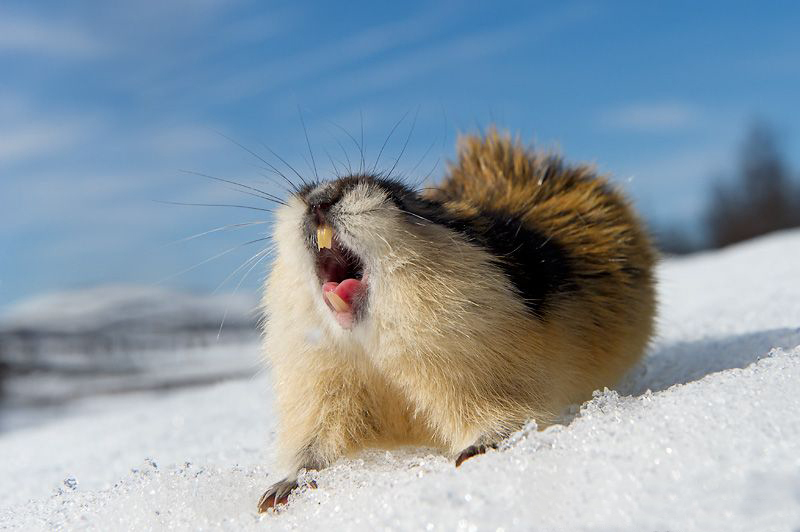 Contrary to their behavior in the popular video game series Lemmings, the critters are smart, master burrowers, and they like to go on the move when their homes get overcrowded. 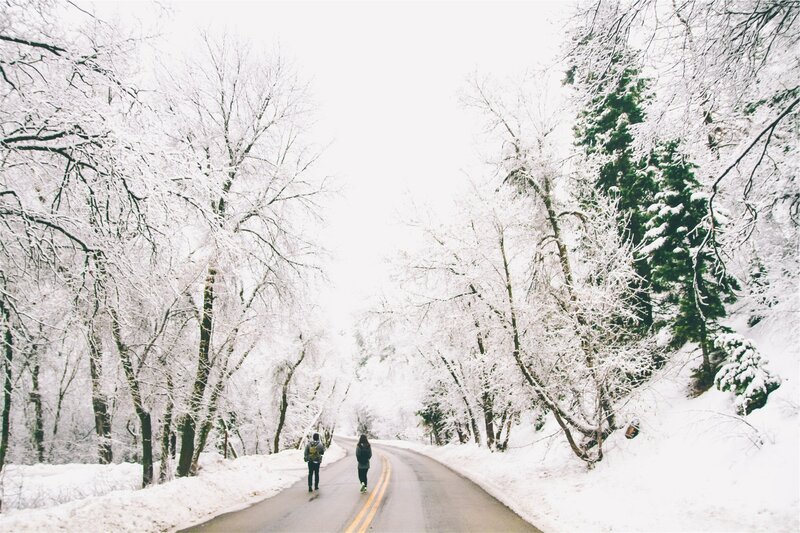 They do just fine in nature, no matter the weather. So, back in the pet store, Jostein knew he needed to return the critter to the wild. 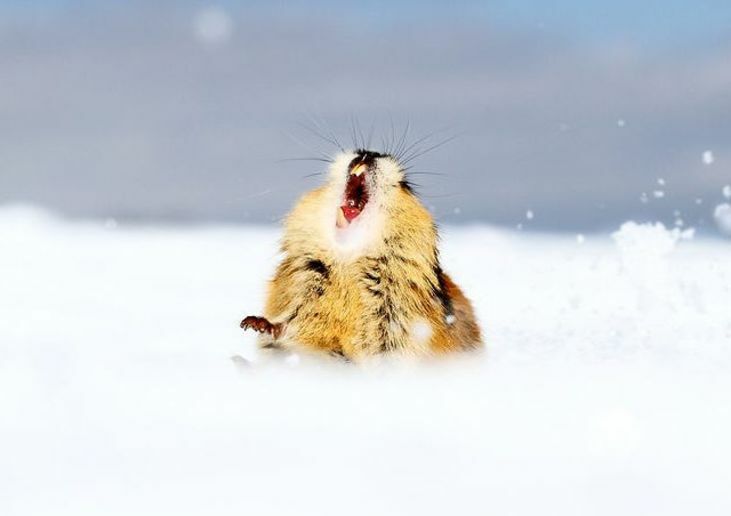 He and Sanna returned to the road from which the lemming was originally “rescued” to let her run free in the snow — not in a wheel. 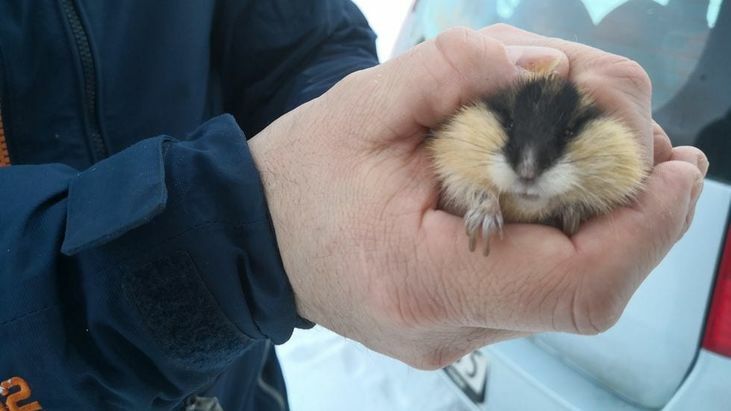 Then, in the middle of a dark-and-dreary day, the duo released the lemming, waving at her as she made her way back home. Those involved couldn’t help but laugh. They’d been a part of the world’s most bizarre mistaken identity case. While some thought to pile on the eager dad in the aftermath — the guy did pick up a wild animal while it was just hanging out — the pet store worker sided with the over-ambitious rescuer. “He did the right thing,” the worker said. 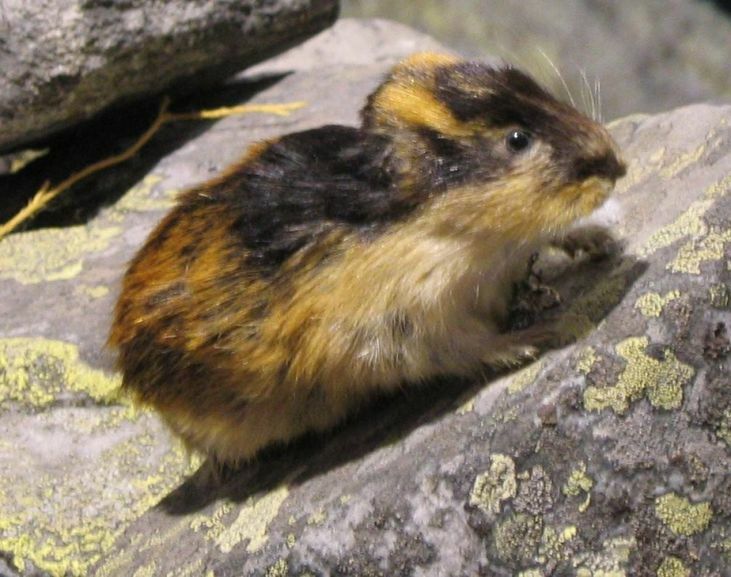 “He saw an animal he thought needed help.” And, to be fair, that lemming did look a lot like a hamster! In fact, Jostein’s decision to help an animal he thought was in trouble is far better than the alternative — letting an animal suffer because you think it’s A-okay. 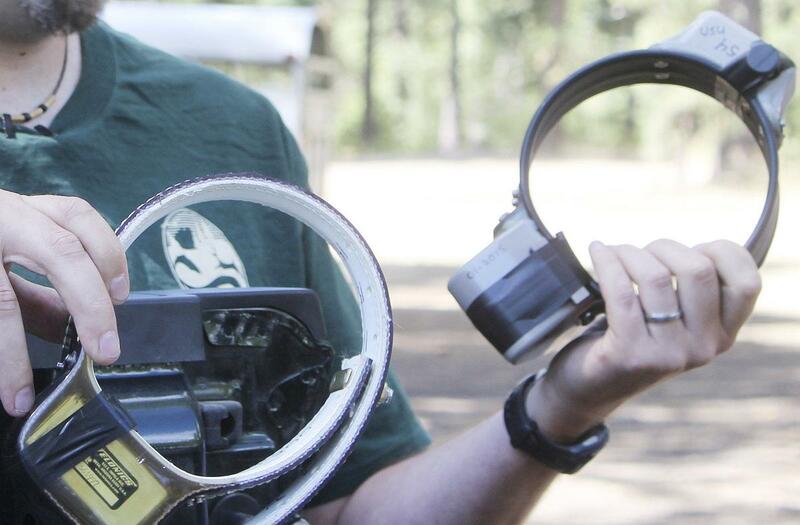 Jim Passmore of Broken Arrow, Oklahoma, learned the same lesson. 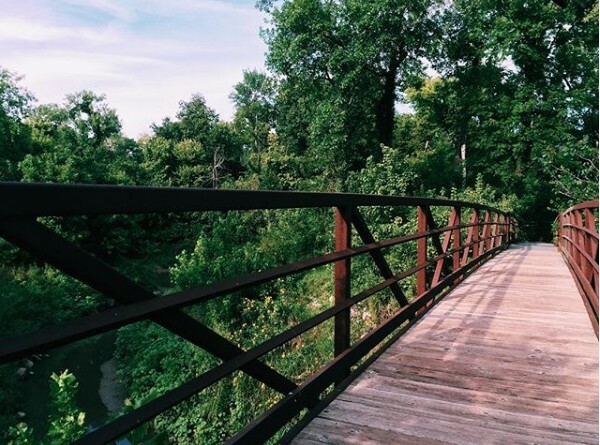 His usual stomping ground was Haikey Creek, a park frequented by outdoor lovers admiring the plentiful pecan trees. 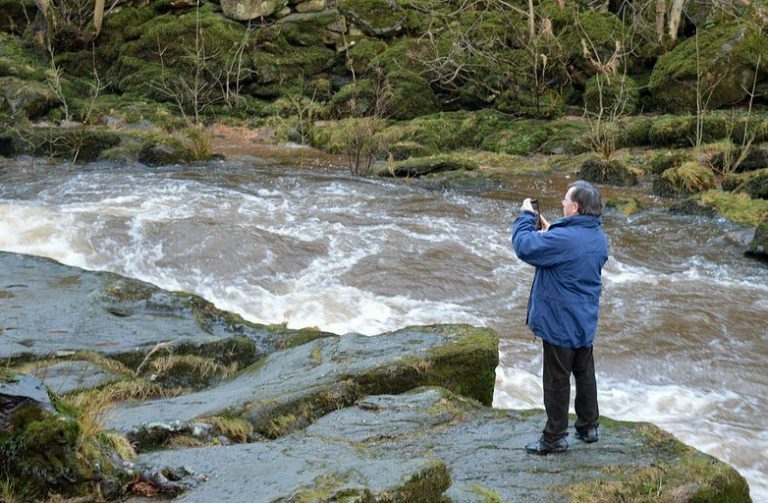 There, while waiting for his yorkies to do their business, Jim spotted something out of the ordinary. A strange mass floated on the surface of the park’s waters, sitting in stark contrast to the normally smooth surface of the creek. It was big, brown, and vaguely animal-like. Squinting to get a better look, he guessed the object was a log. But he wasn’t sure. Edging closer to the shore, Jim stepped off the trail onto the muddy grass. If he could just get a closer look, he might be able to satisfy his curiosity. Finally, with a jolt, Jim realized the thing wasn’t a thing after all. It was covered in brown hair. It was alive. Feeling lucky to glimpse a wild creature in its natural habitat, Jim was only more intrigued. The unknown animal was moving, barely. Could it be gently stirring in its sleep? Floating, but rattled by a dream? Then his dogs began to snarl. The nearer Jim inched to the animal, the more riled up his tiny pups got. Their predatory snarls and growls made it seem like they sensed some looming danger. Nevertheless, he grew concerned by the animal’s feeble movements. It looked desperate — and stuck. 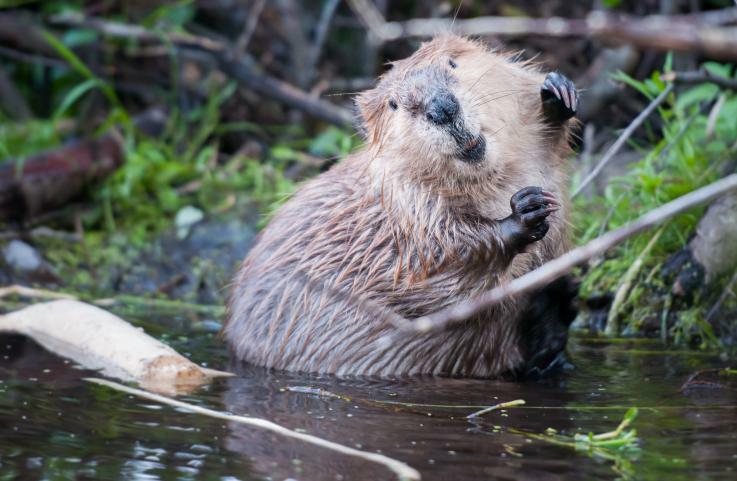 Since the thing was hanging out in a wooded, muddy, creek bank, all signs suggested it was a beaver. Then, fresh off the revelation, he noticed something hidden in the brush that hinted towards a more sinister situation. A carrier. 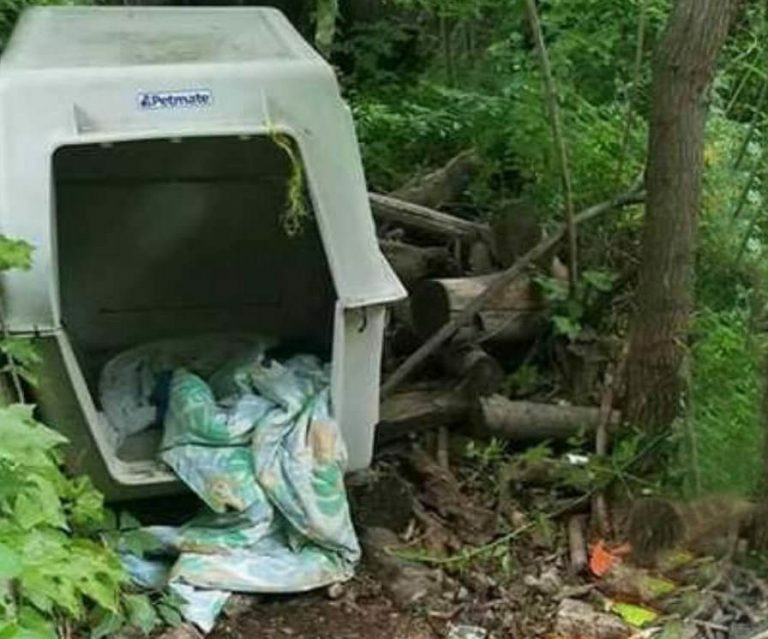 The case was large, the kind used to transport pets to the vet, and appeared abandoned. Poking around inside, Jim discovered a large filthy blanket. What worried him more was that, beneath the blanket, was a heavy weighted chain. Standing there, Jim tried to piece together what was going on. Obviously, someone had discarded the carriage. 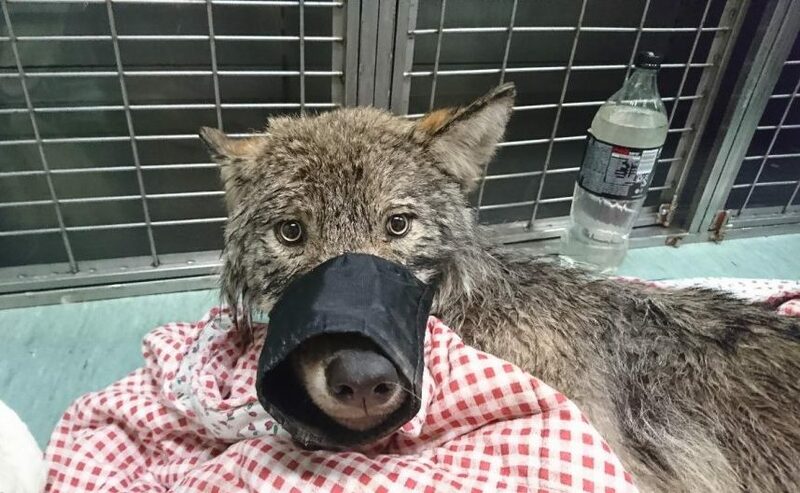 Judging by the haphazard scene — the dirty blanket, the chain, the bitten and mangled cage — a cruel individual had dumped a helpless creature in the wild. 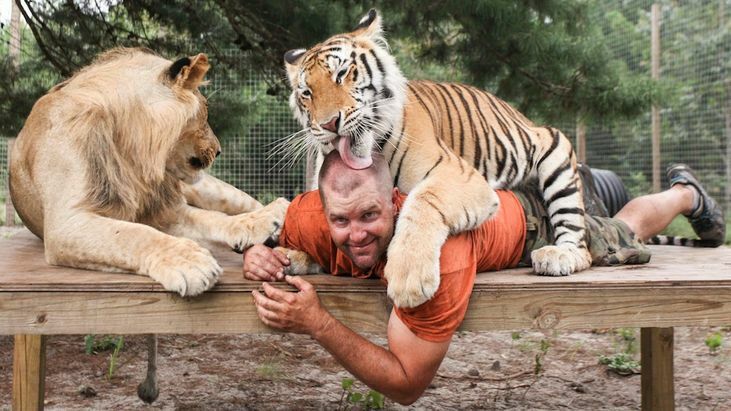 Someone, Jim thought, intended to harm the animal, but it escaped. While understanding washed over him, a rustling in the woods got his attention. Another beaver crawled out of the undergrowth. 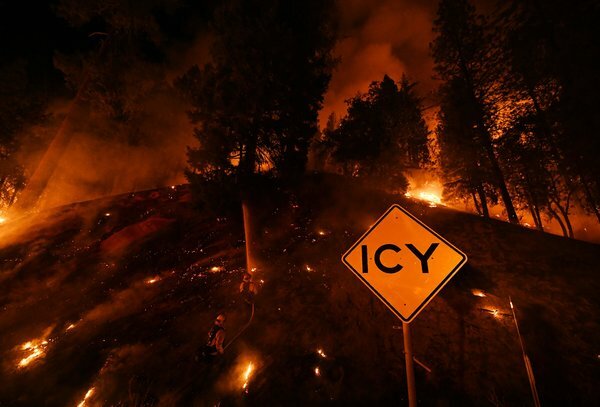 Jim took this as a sign. Not fleeing from human contact, the beaver moved into the open. 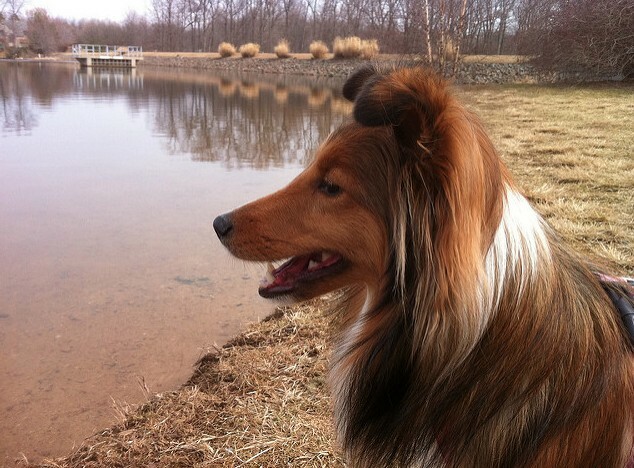 Jim watched mystified as it crossed the ground and moved closer down the creek’s edge, towards the mystery creature. 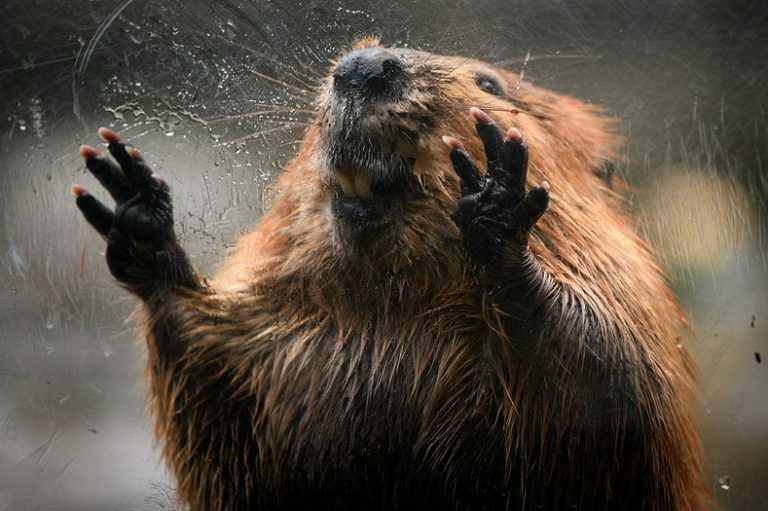 Seeing as he had pegged the mystery animal as a beaver, Jim took this new beaver’s fantastical intervention as a positive omen to trust his gut. 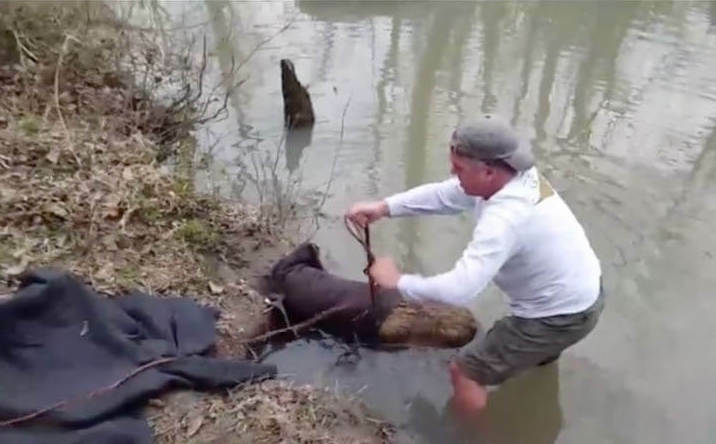 He approached this beaver, creeping the final few feet towards the floating animal. 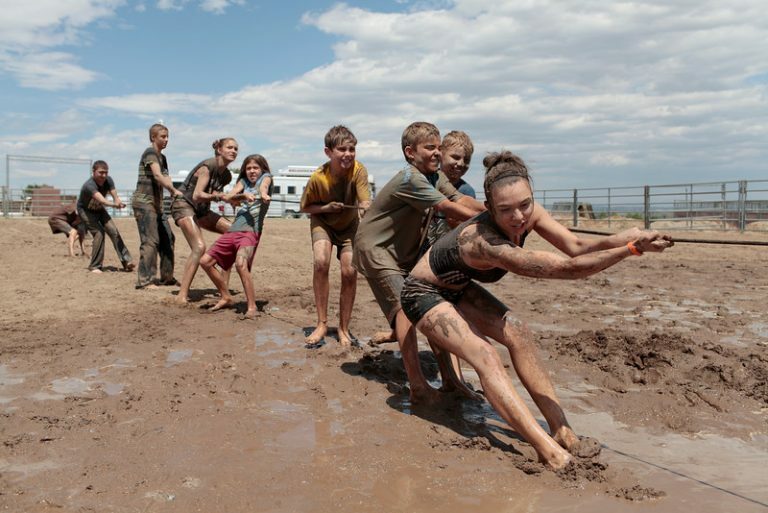 The other animal stirred weakly, trapped in the muddy suction of the water. Side by side, Jim knew he’d guessed wrong. 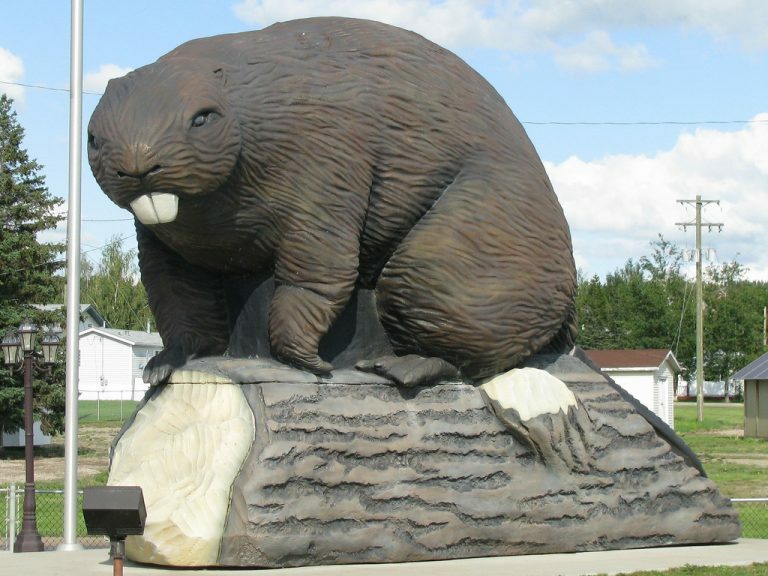 The creature was way too big to be a beaver unless it was a radioactive giant one. All along, the creature in distress had been a big, fluffy, dog! 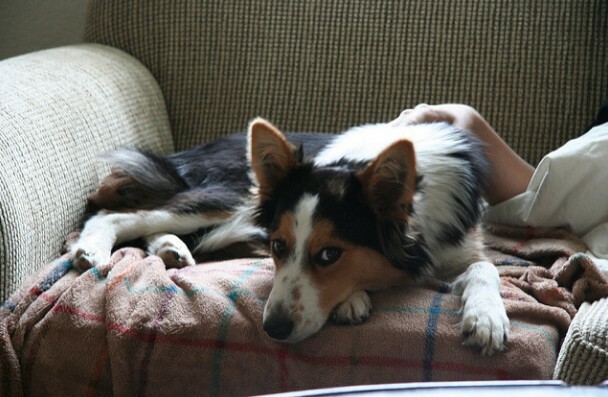 Muck and grime concealed a gorgeous collie. Glad he further investigated the mystery creature, Jim stepped into the creek, now determined to save him. 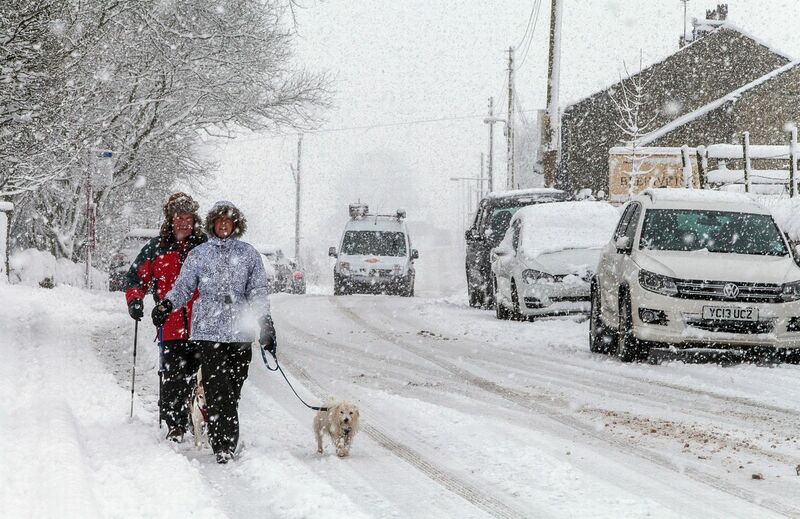 Better safe than sorry, Jim called out to some other pedestrians to give him a hand freeing the dog. They gathered around him, but as Jim had feared, any contact sent the dog into frenzy mode. It bit someone who got too close. With the creature still stuck in the mud, Jim reevaluated their strategy. They needed to be careful. Grabbing onto the scared pooch would only freak it out further. So, in order to unstick the cranky thing, they needed a distraction. A solution popped into Jim’s noggin: the dog couldn’t bite what it couldn’t see. Grabbing a dark sweatshirt, he draped it on the suffering dog’s head. Cutting out all vision and light worked like a charm; the hairy critter appeared soothed. Now that the dog was subdued, they had to yank it free. 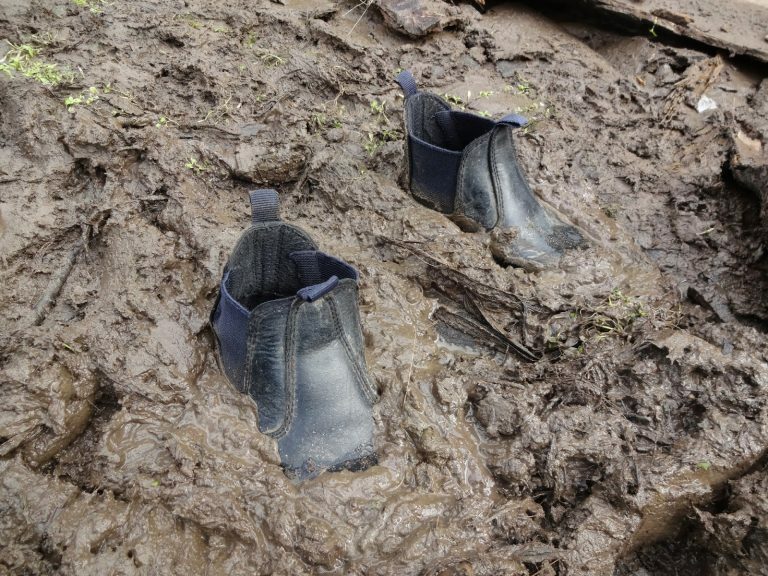 It slipped further into the mud, and so would the rescuers if they kept standing in the gloop. They needed a pulley system. 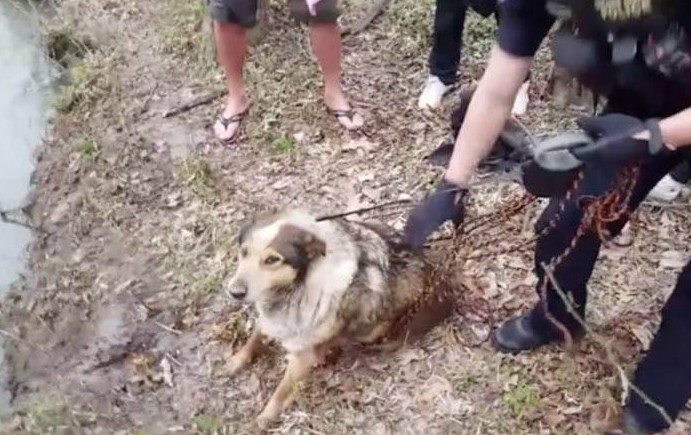 Wrangling up a makeshift lift composed of dog leashes, they looped the ropes around its belly. Planting their feet, the gang heaved. You’d figure several able-bodied men would pluck the helpless creature out in seconds, but it was as if this guy had been super glued. 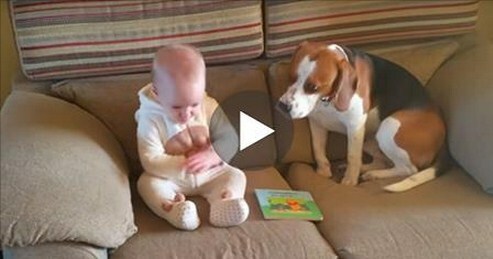 The dog looked thankful but understandably terrified. 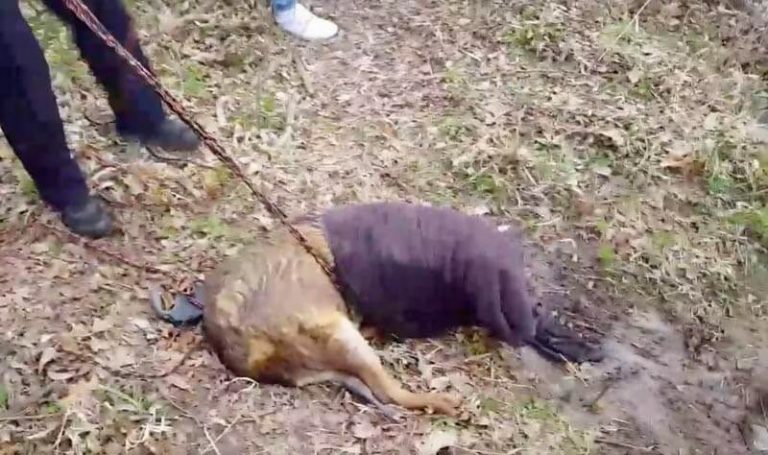 There was no telling how long the poor creature wrestled to free itself from the mud after its owner deliberately cast their pet away. 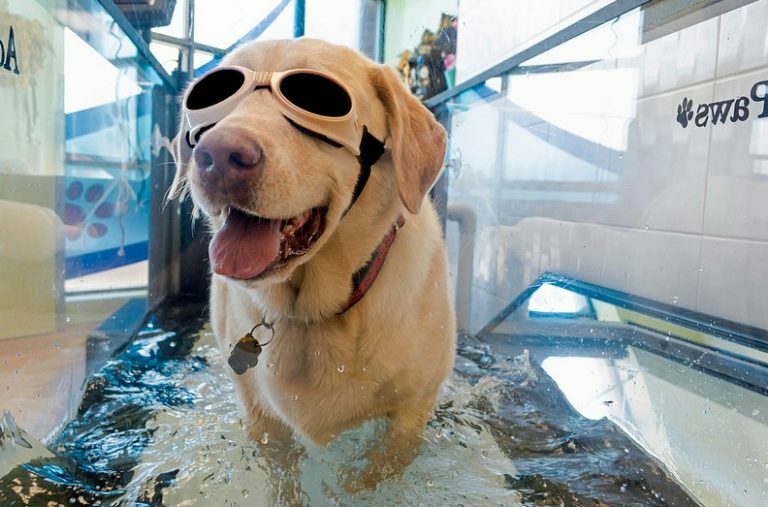 All they could confirm was that the handsome doggy appeared perfectly healthy. Jim, a long established dog lover, was furious. How anyone could abuse an animal, let alone their pet, he never would fathom. He phoned the police, and officers arrived swiftly on the scene. 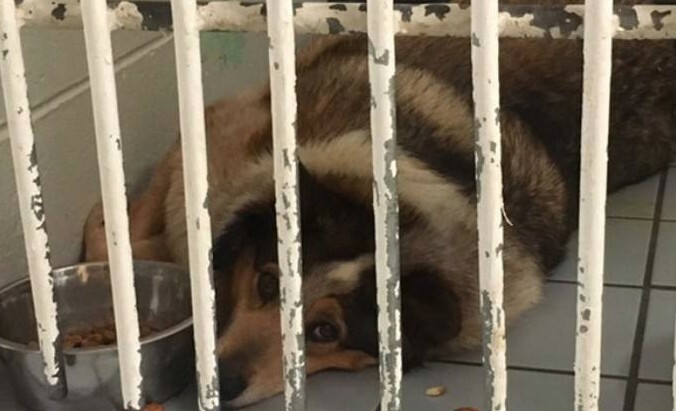 Finally, the scared pet had advocates, and they set to work to keep him safe. 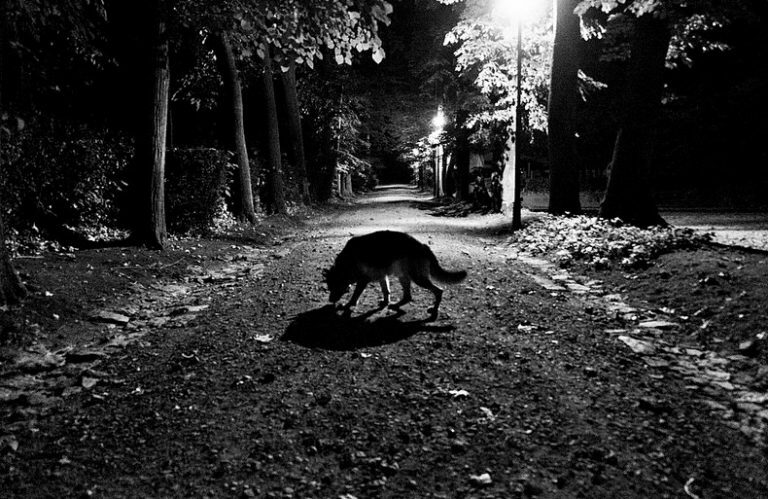 Upon further examination, the police began to piece together the sad truth of the dog’s tale: Locked in the animal carrier, trying to bite its way out, the sweet creature had been dropped on the street. 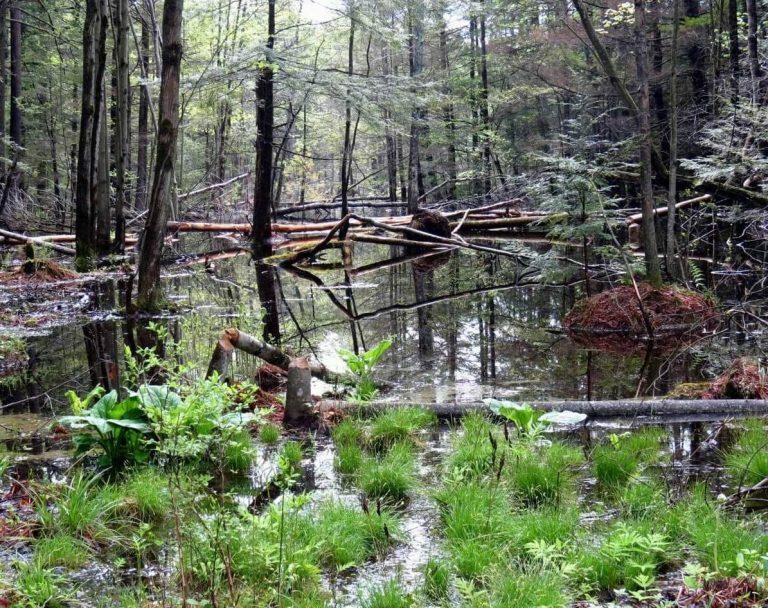 At some point, the cage had been struck by a car, sending it tumbling into the forest, where it landed in the muddy bank of the creek. By a pure miracle, the dog survived this horror story, mostly unscathed, but surely mentally wounded. 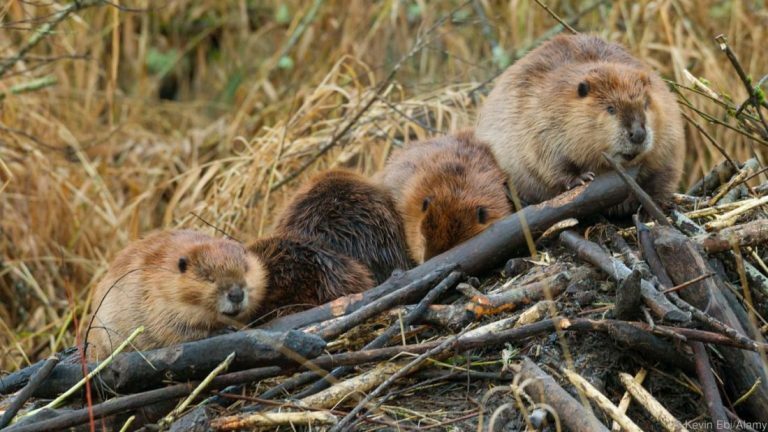 If Jim hadn’t been guided by the auspicious beaver, who knows if the poor thing would have made it out of the mud. 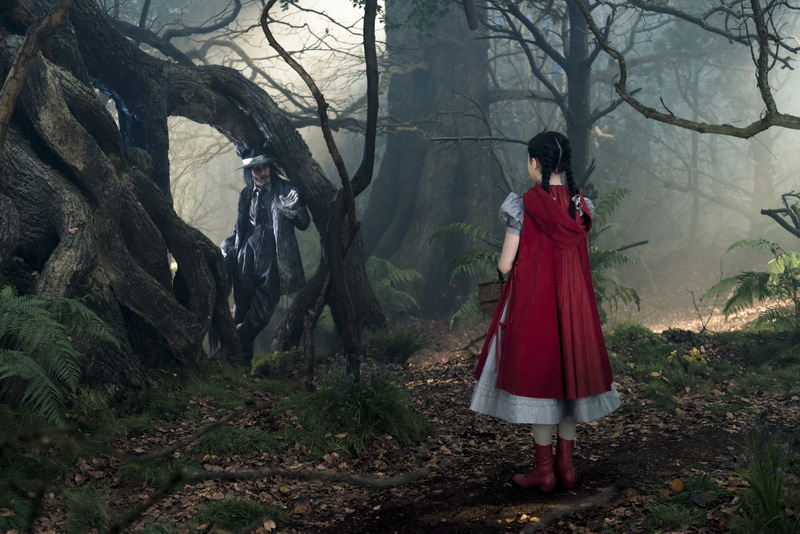 But that magical appearance raised more questions than answers. 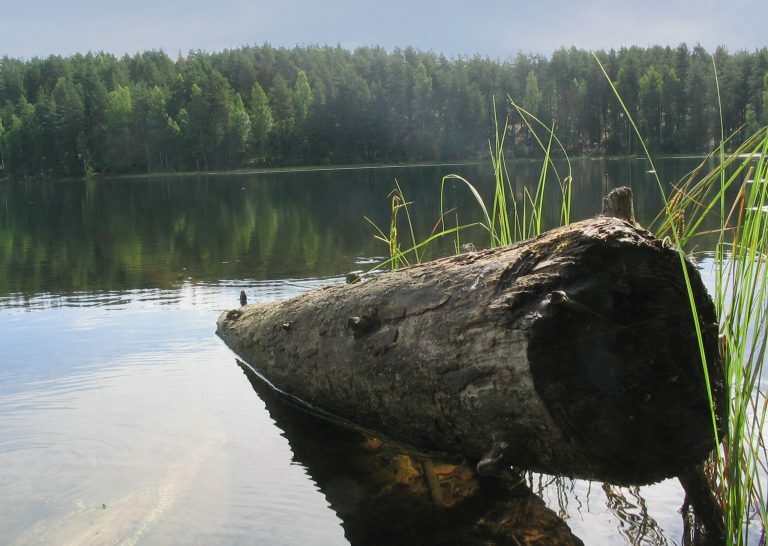 Was the beaver signaling a fellow animal in danger, or was it pure coincidence? However, no one had time to ponder over the mystery. Officers realized the dog wasn’t walking out of the paddock. They had to get the sizable dog, they’d dubbed Teddy (due to his stuffed animal likeness) to the vet for an examination. Teddy was wiped out from his mud struggle. 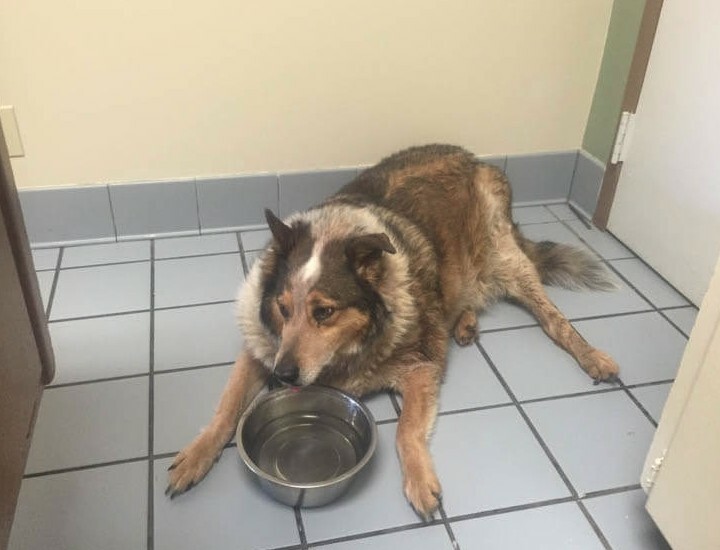 He appeared to be pretty overweight, and that, coupled with possible injuries, prevented leading him on a leash. 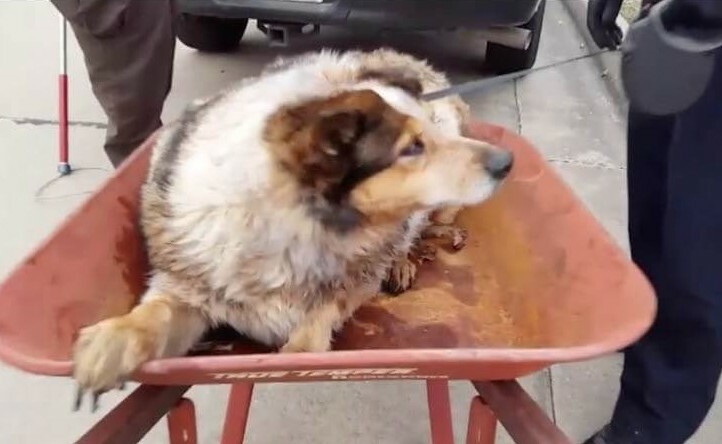 In another twist of fortune, the rescuers found a wheelbarrow not too far away. Wrapped in a blanket, Teddy was carefully placed in the wheelbarrow and pushed out of the paddock. 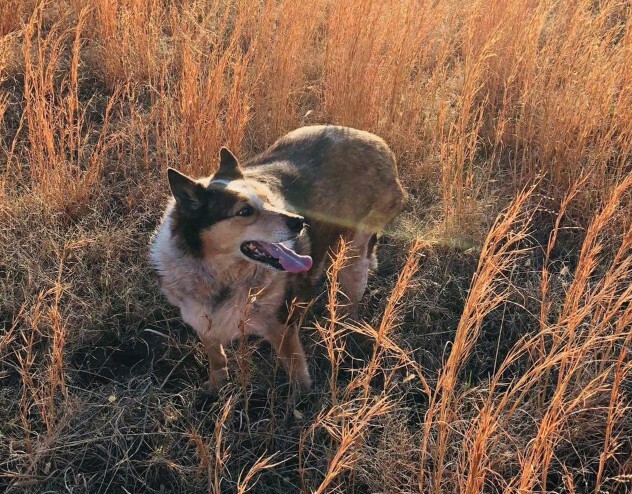 The next call Jim made was to the Oklahoma Alliance for Animals. In a few minutes, they made arrangements to take Teddy under their wings. In a way, Teddy dodged another attempt on his life. Landing a spot with the OAA allowed him a chance at rehabilitation. His scared demeanor and his justified lack of trust of humans would’ve certainly marked him for euthanasia if he’d been taken to the shelter. Not to mention, Teddy bit one of his rescuers, which, regrettably, is a fast track for putting an animal to sleep. 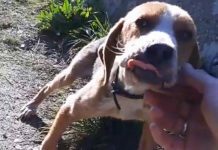 The rescue group refused to give up hope for his future. 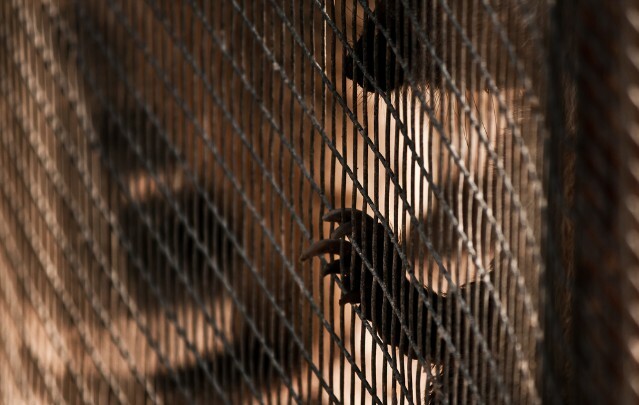 Fearing that his lashing out was a side effect of rabies, they ran tests to rule it out. Results came back clear: Teddy was rabies-free. But he still had a long journey to make him well enough to find a new family. His movements and general attitude were low energy, and he needed to increase activity to lose some pounds. Once the kind rescue workers started spoiling Teddy, his sourness melted away. In its place was a soft, gentle, somewhat-slimmer, long-coated sweetheart. His story gained viral traction, and he had a wide fanbase cheering on his fitness journey. Teddy didn’t have to wait long for his happily ever after. Jessie, a Vet Tech for the rescue, fell hard for his sad puppy dog eyes. The forces of nature made sure Teddy was found and granted the fairytale life he deserved.